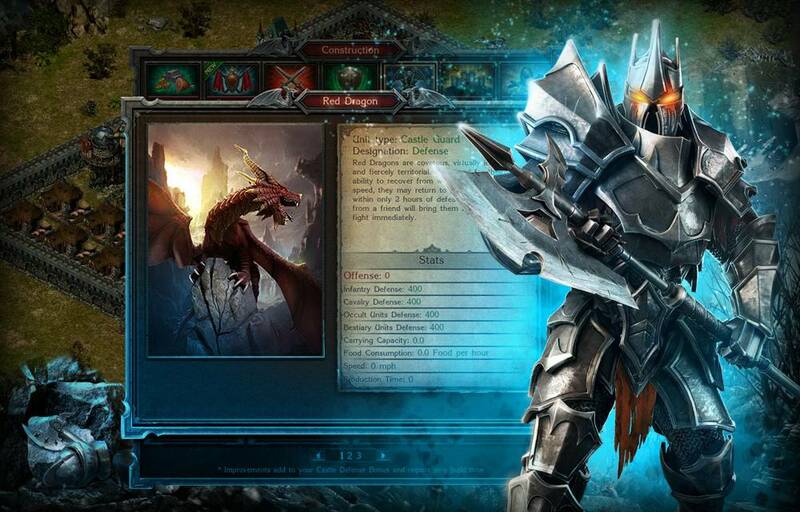 MMO & MMORPG Games | Best Free Online MMOs, RPGs and Browser Games 2018! 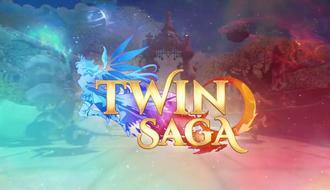 Action based Anime MMORPG - Switch between any class whenever you want in the high fantasy world of Twin Saga. 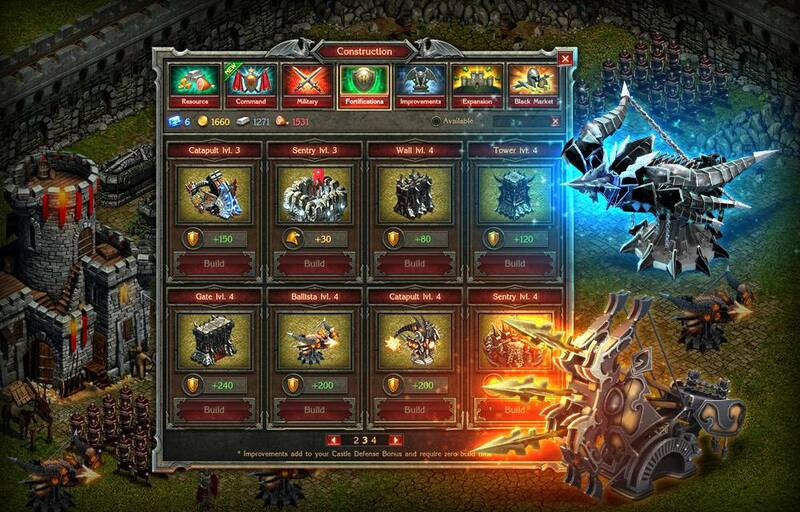 Review Register and play now! 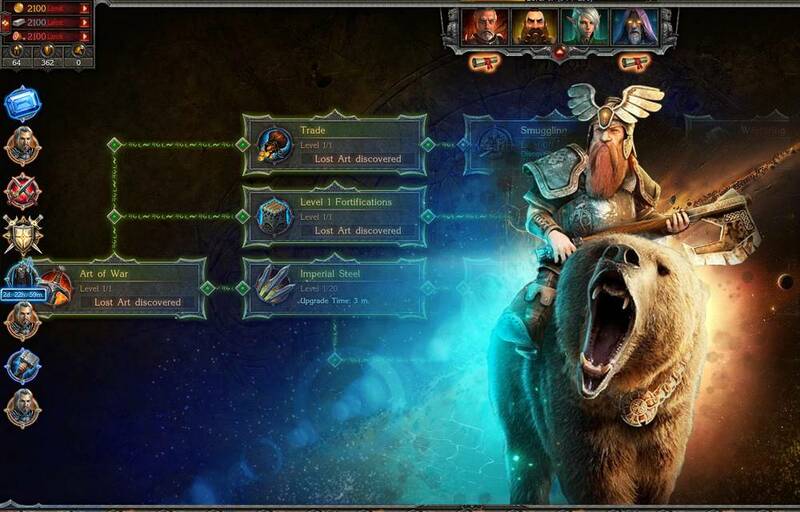 2017 Browser game with Vikings - Experience a time when Vikings ruled the world in this thematic war & strategy browser game, featuring top-notch graphics and a lively community. 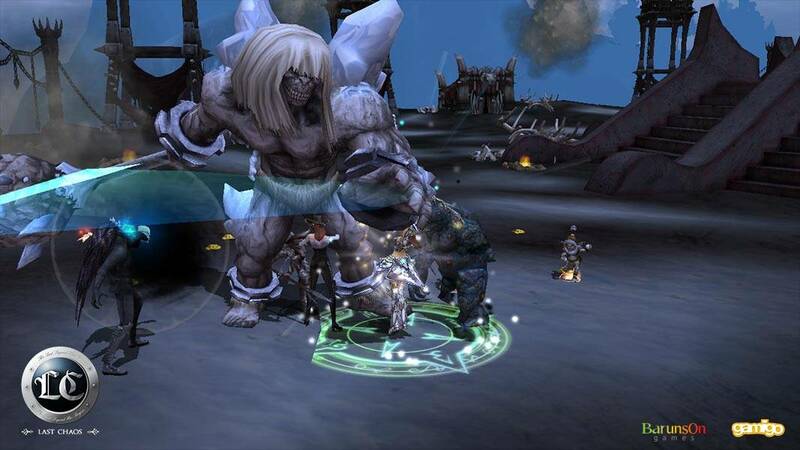 Korean MMORPG - An old game originally published by Aeria Games, Last Chaos attempts to capture the essence of classic western MMOs. 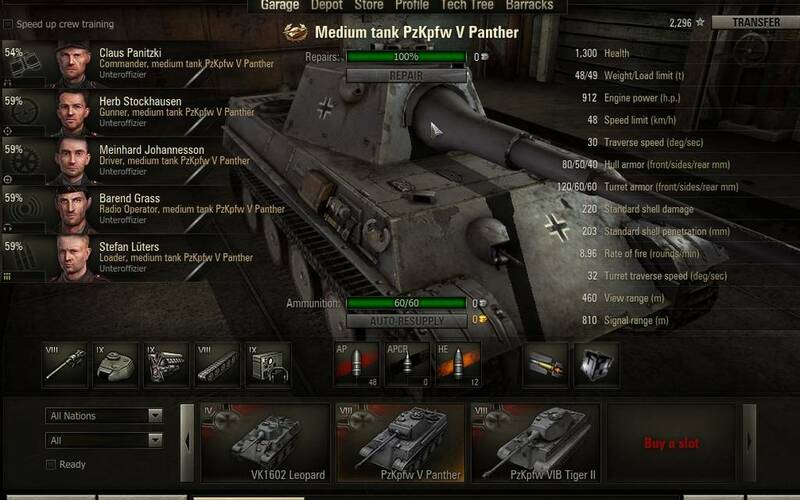 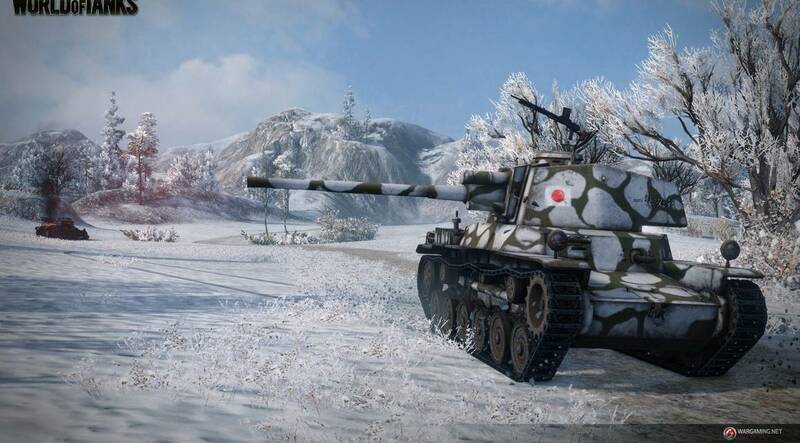 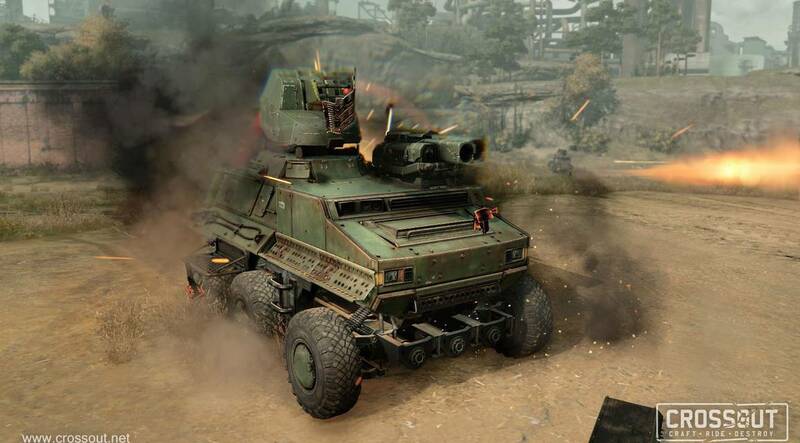 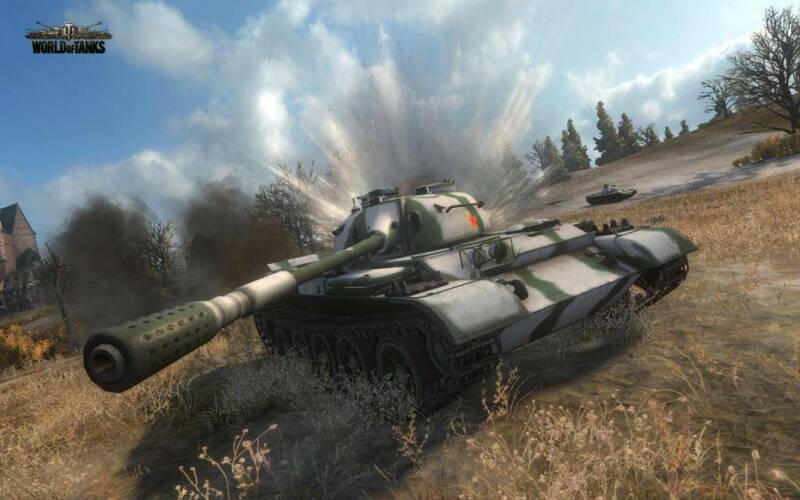 Tactical battles with powerful tanks - More than just a simple war game, take control of more than 150 personalized tanks in World of Tanks while creating tactics in order to keep your team alive! 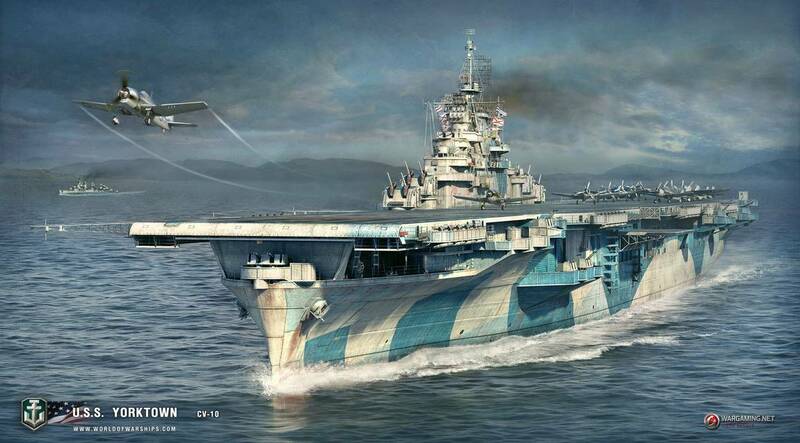 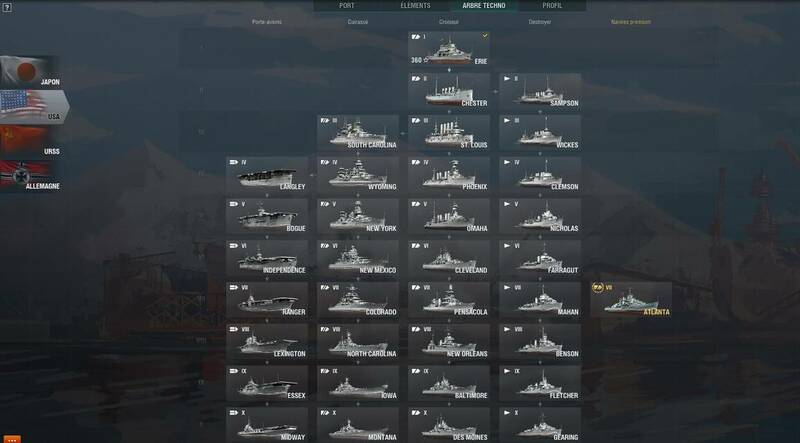 Strategic Naval Battles - Destroyers, aircraft carriers, and so much more! 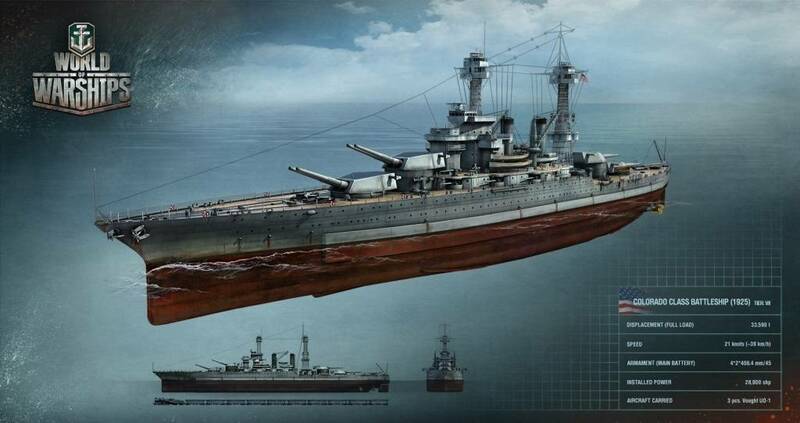 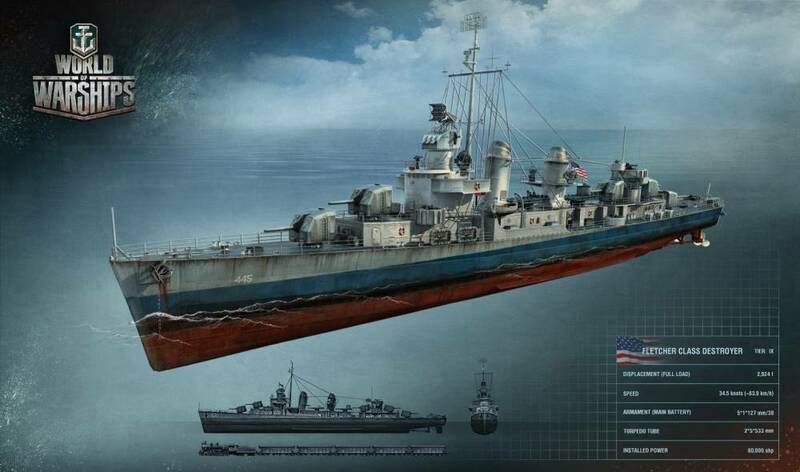 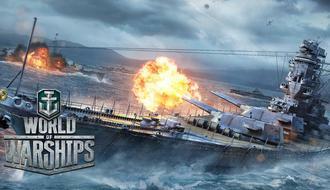 Wargaming Public Co. Ltd. now introduces the next big thing in World War II themed naval combat; and it is free! 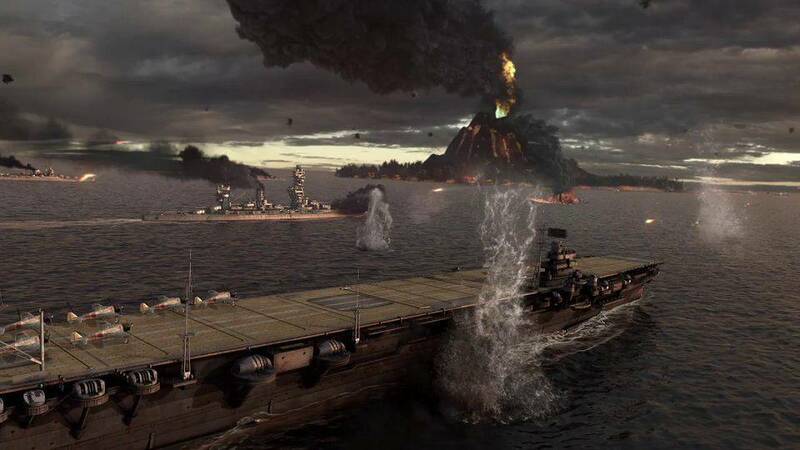 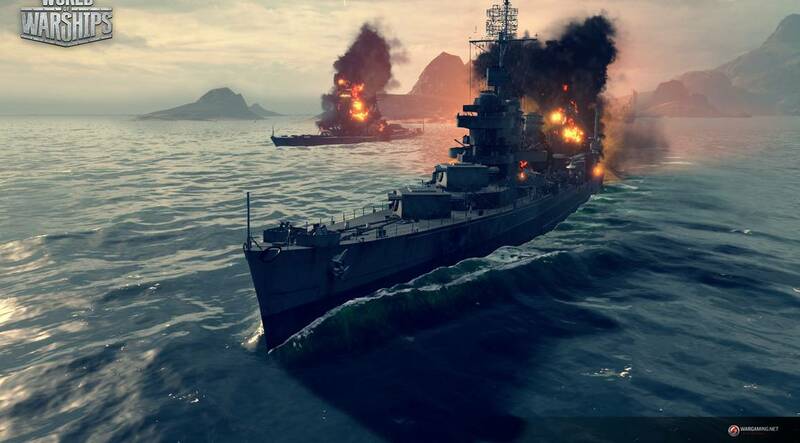 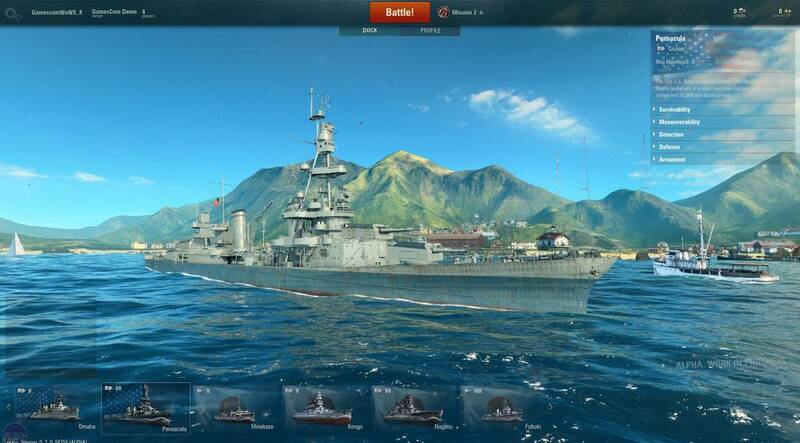 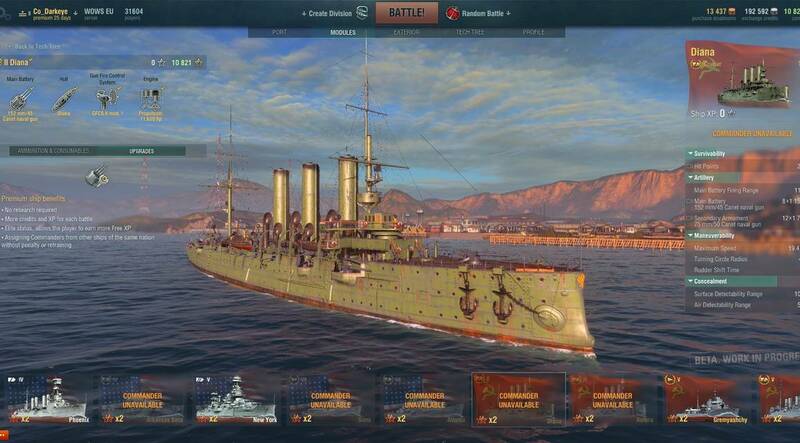 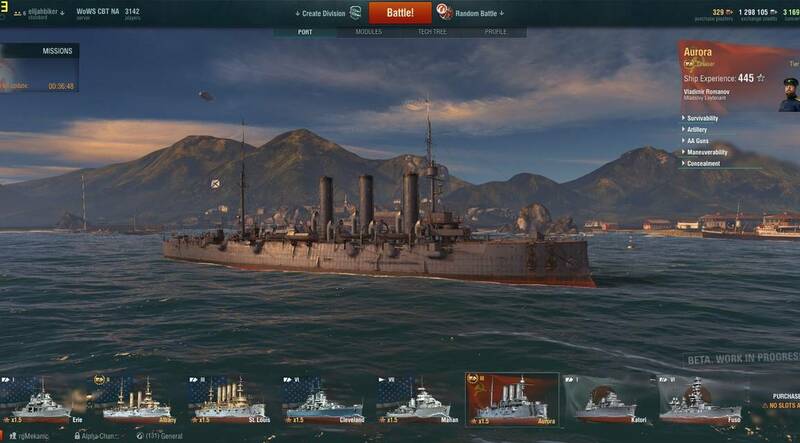 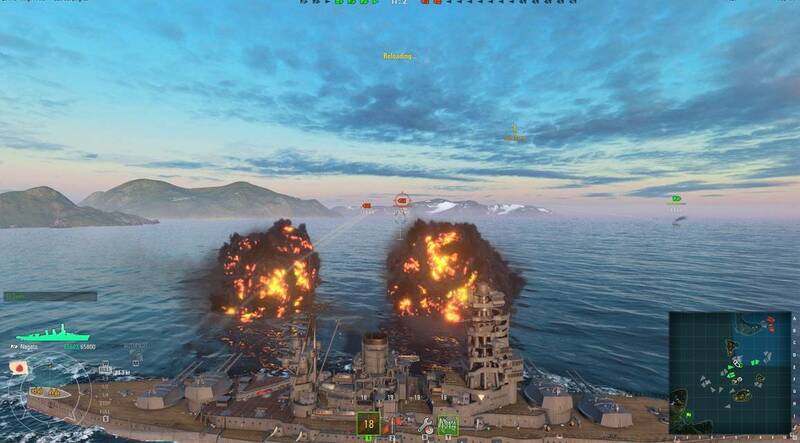 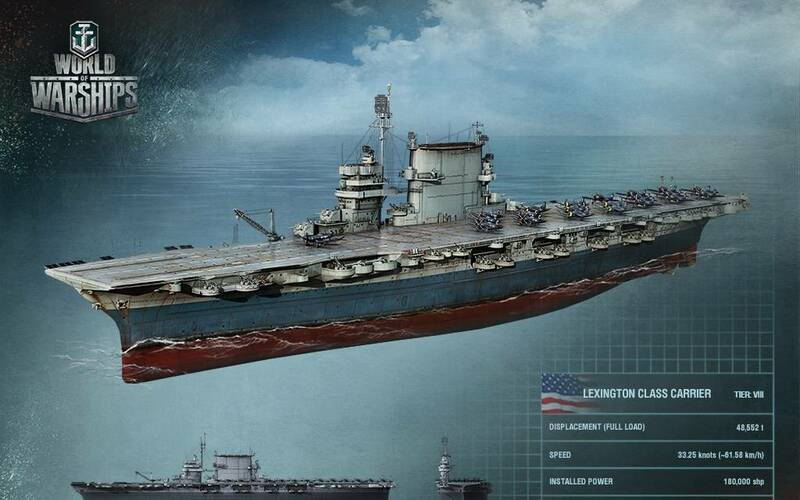 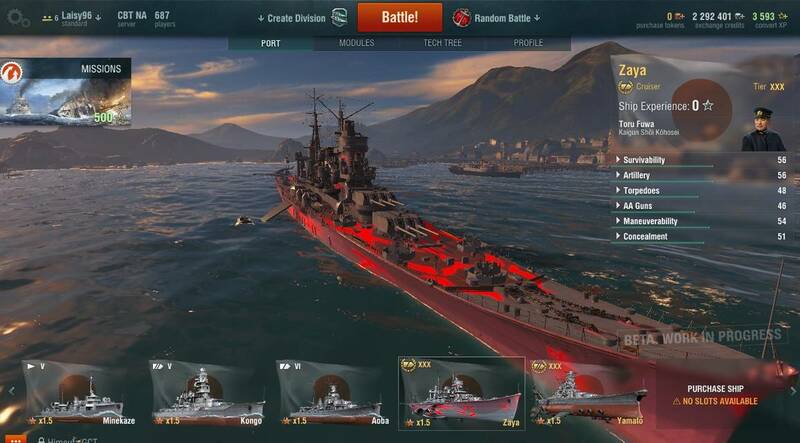 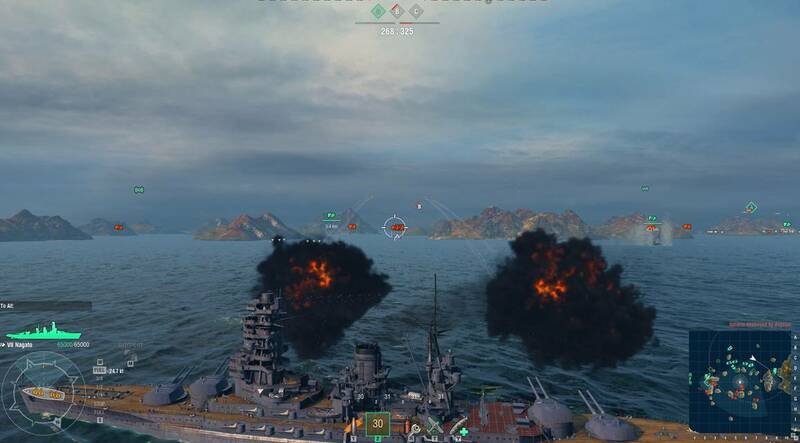 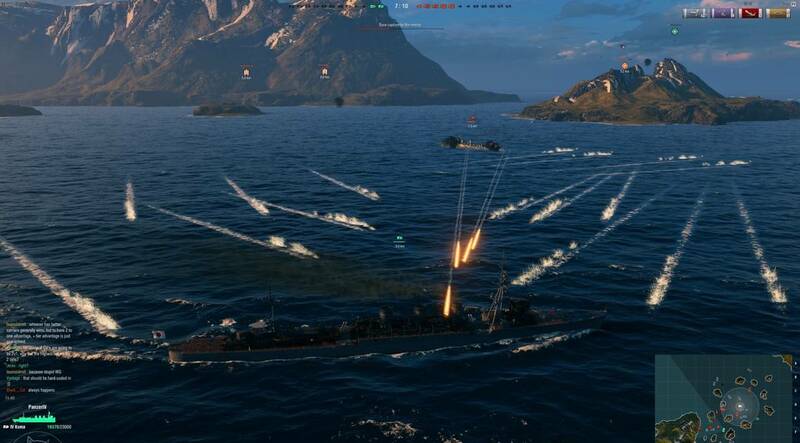 Strategic Naval Battles - World of Warships is a tactical naval war MMO game developed by Wargaming. 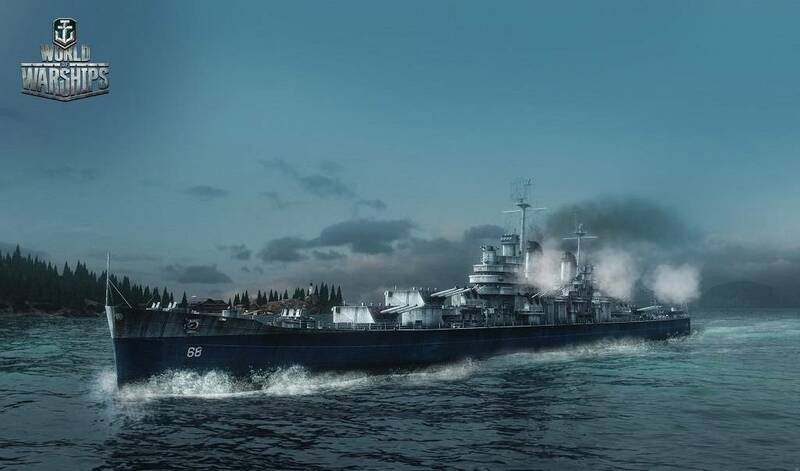 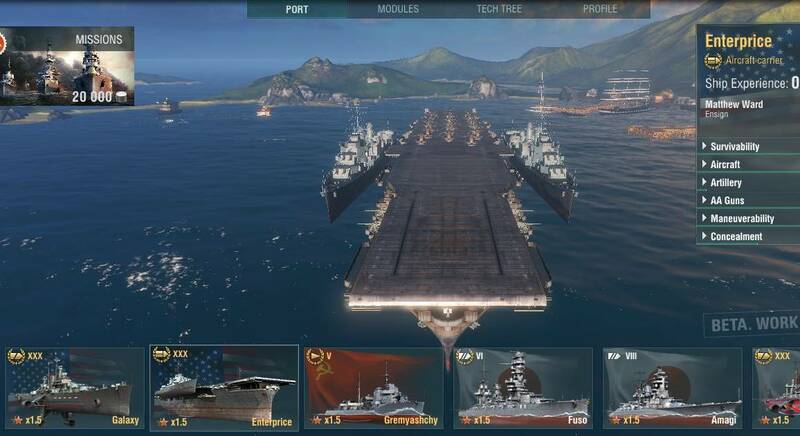 The game can be downloaded for free and features a number of majestic vessels and warships from the navies of different World ... » read the review or watch the trailer! 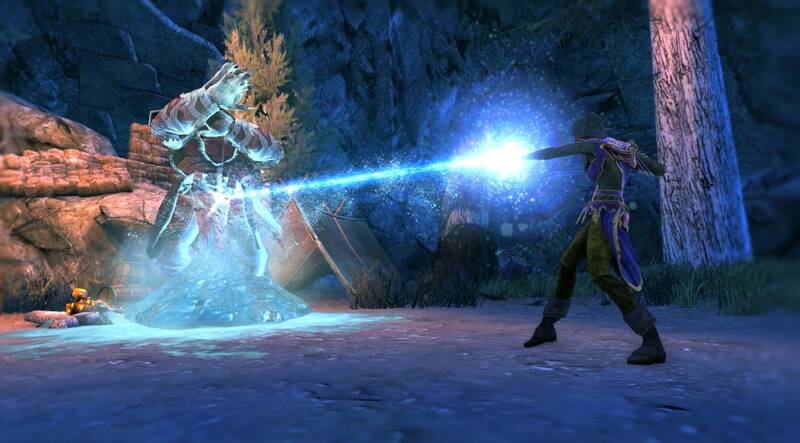 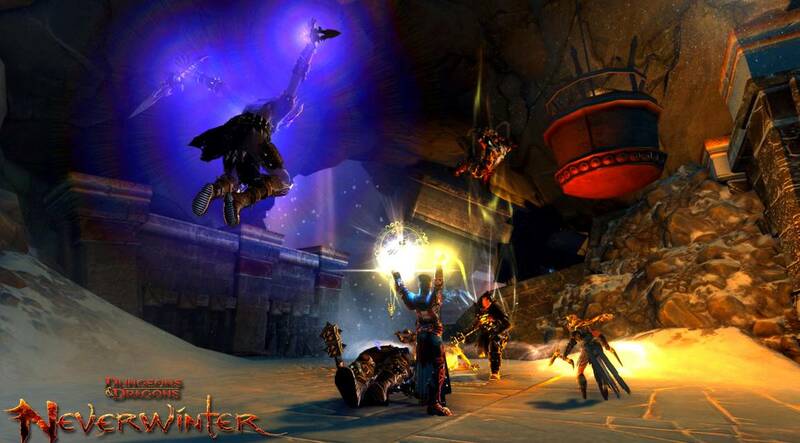 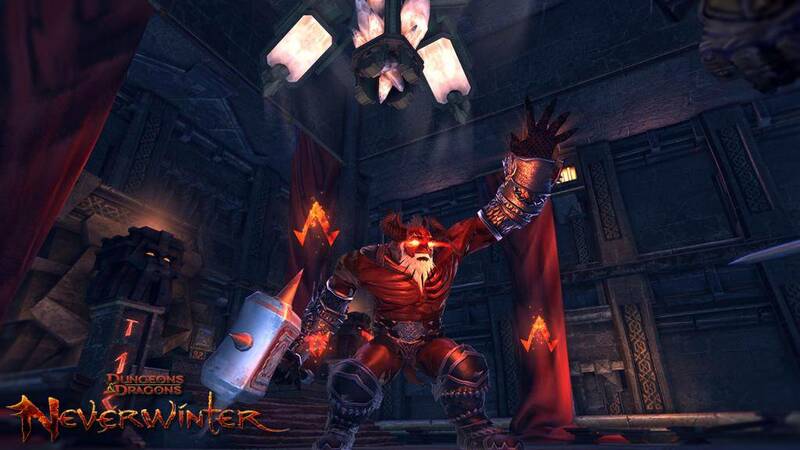 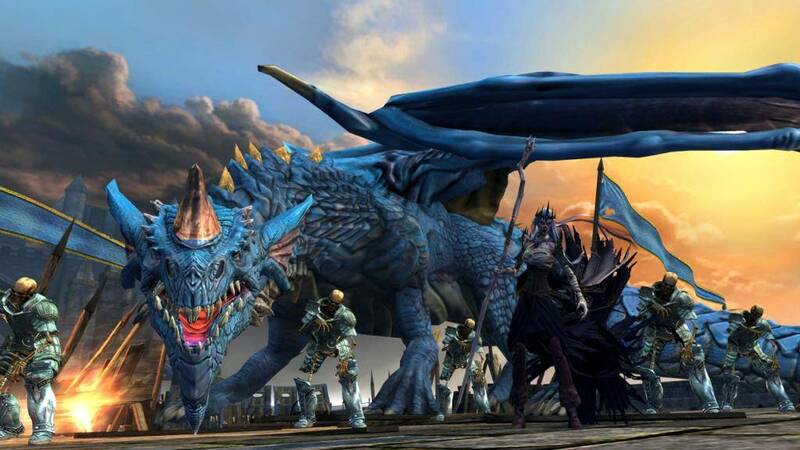 Action MMORPG with great atmosphere - Neverwinter is a new free-to-play MMORPG based off the classic table-top RPG, Dungeons and Dragons. 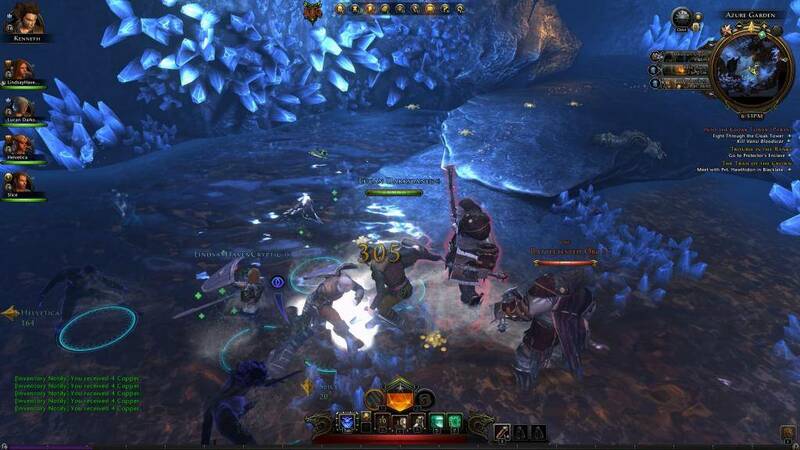 The game immerses the player into the Forgotten Realms, the world in which Dungeons and Dragons takes place. 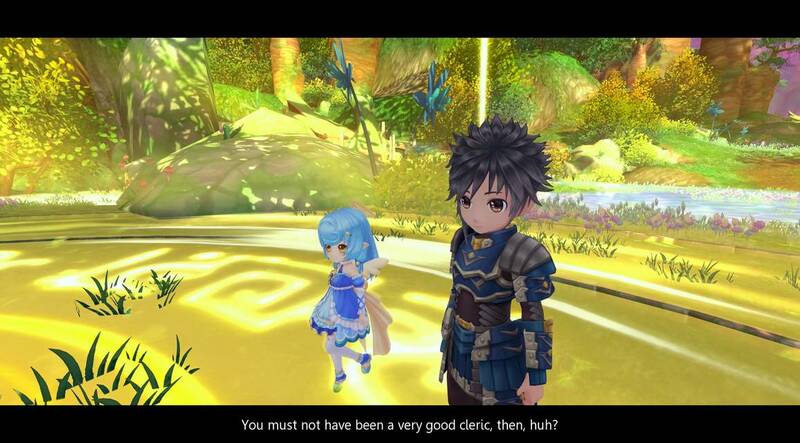 As usual, ... » read the review or watch the trailer! 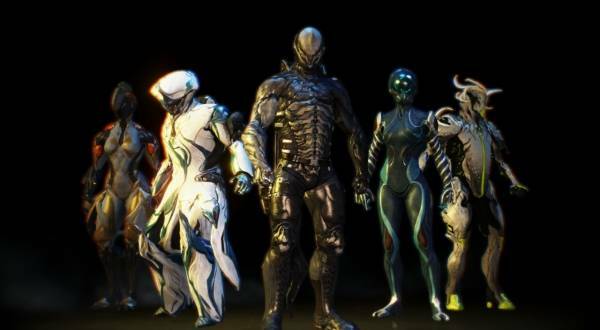 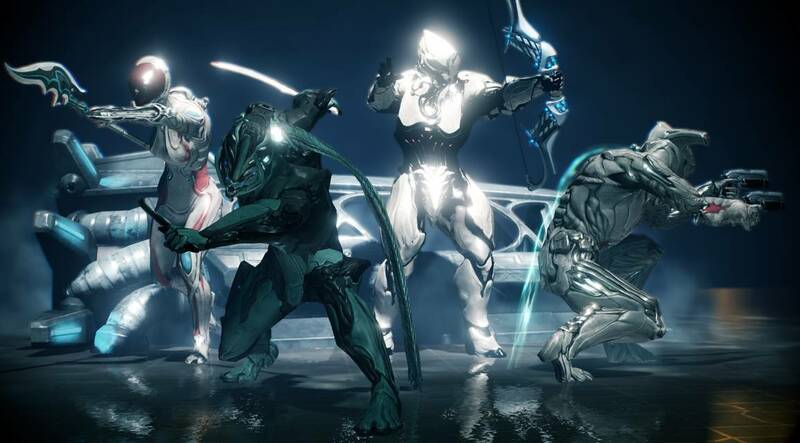 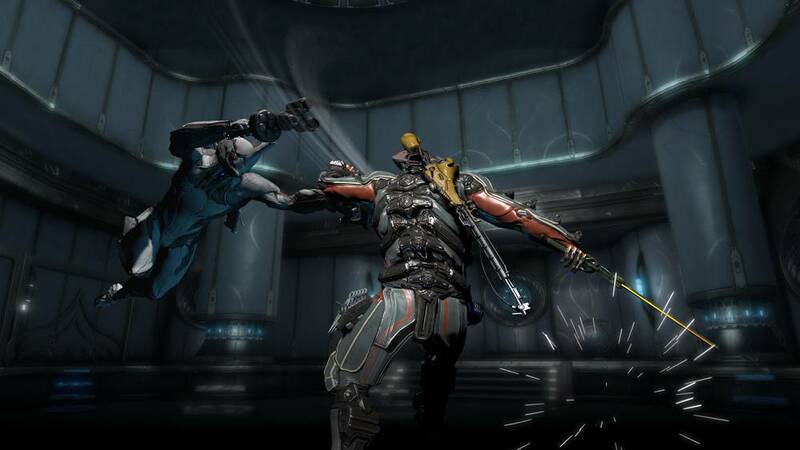 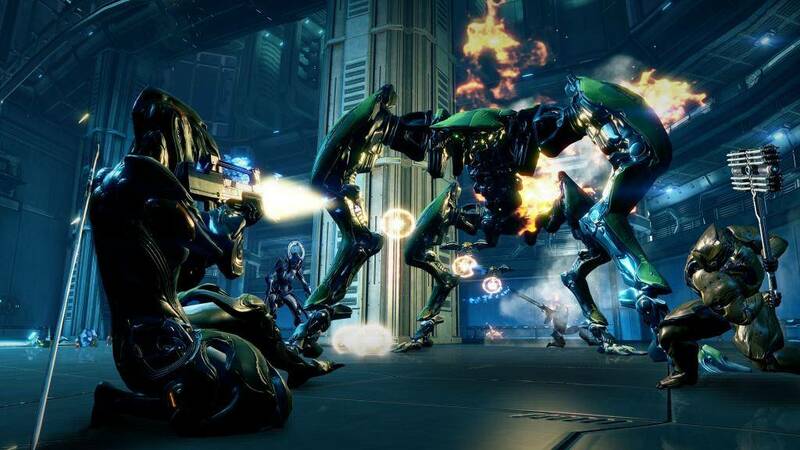 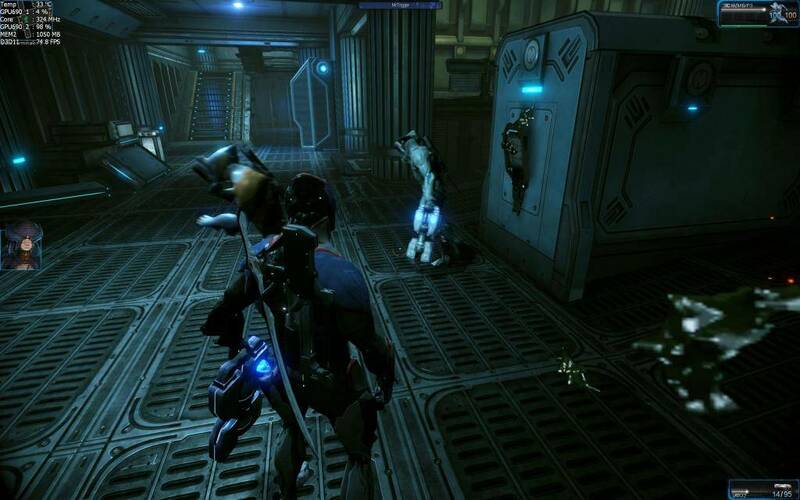 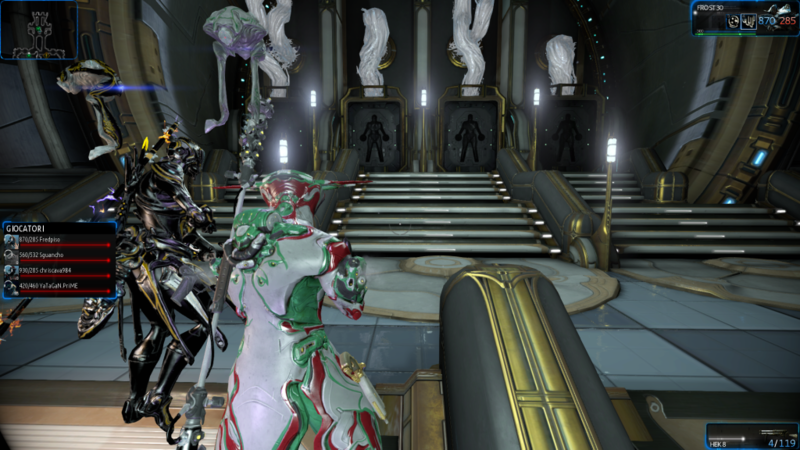 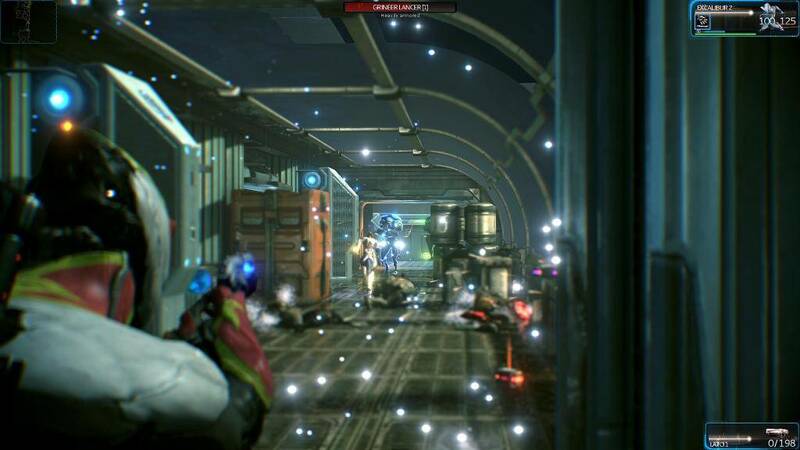 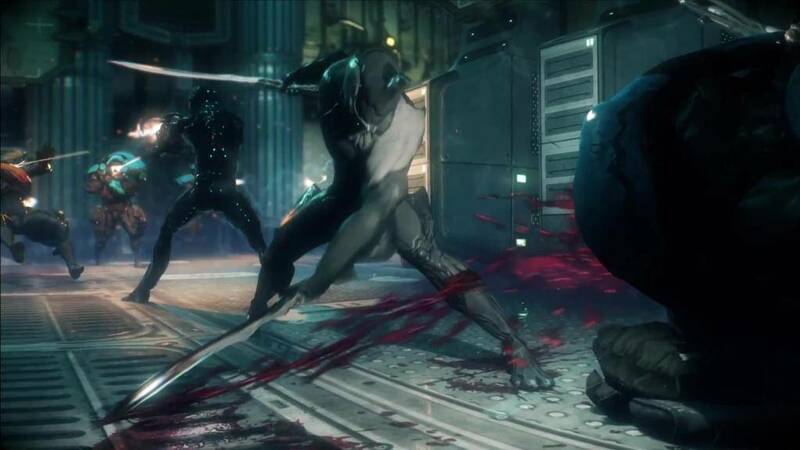 Action Based Cooperative Shooter - Playing Warframe is as close to being a ninja as many of us will get. 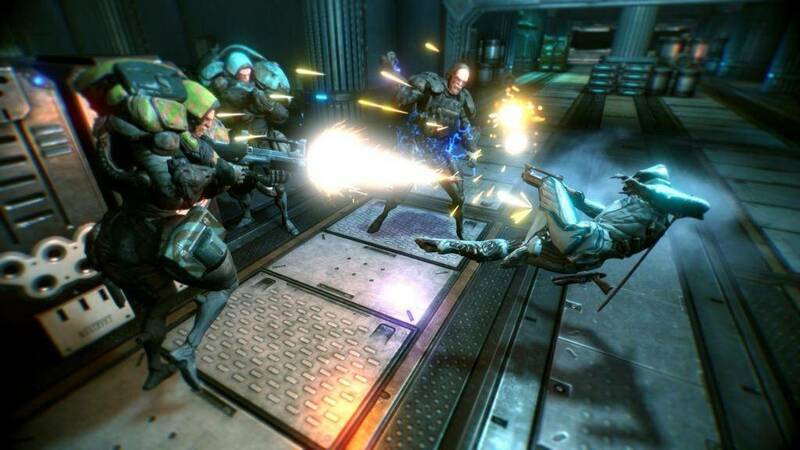 Set in a sci-fi universe full of insane alien enemies, you'll have to count on your powerful exo-skeleton to survive. 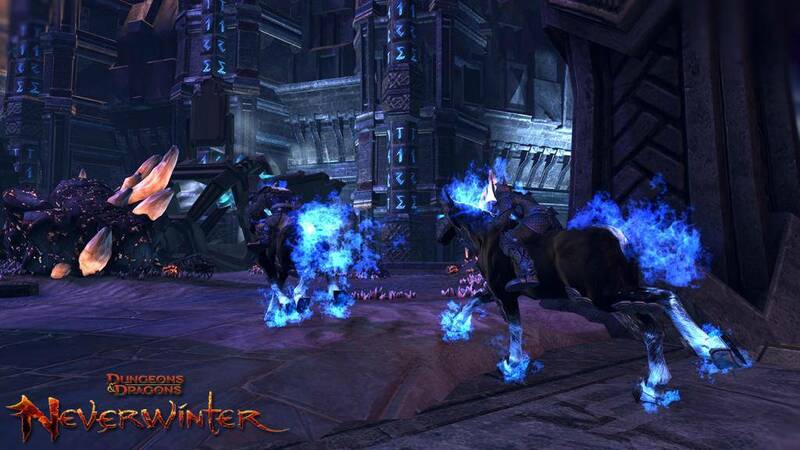 ... » read the review or watch the trailer! 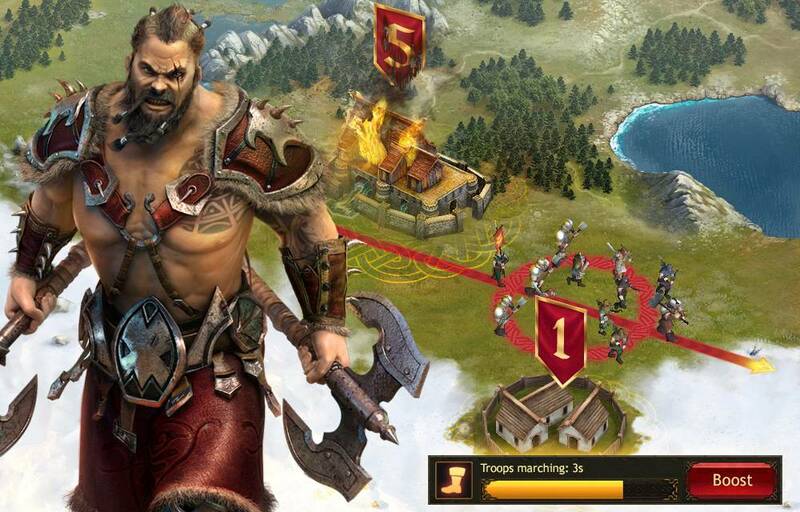 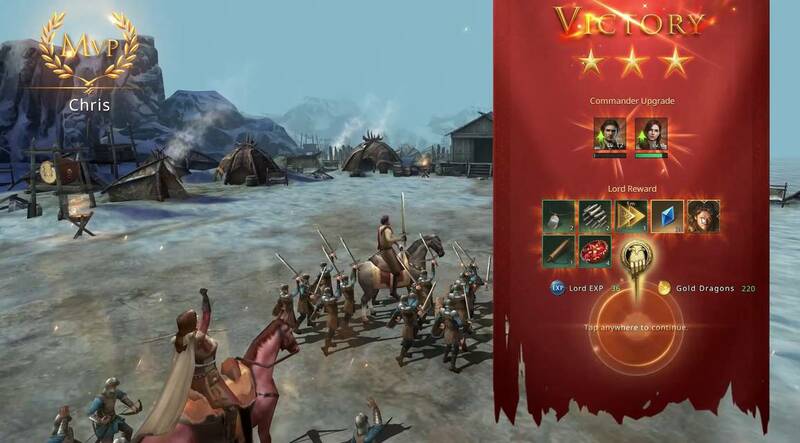 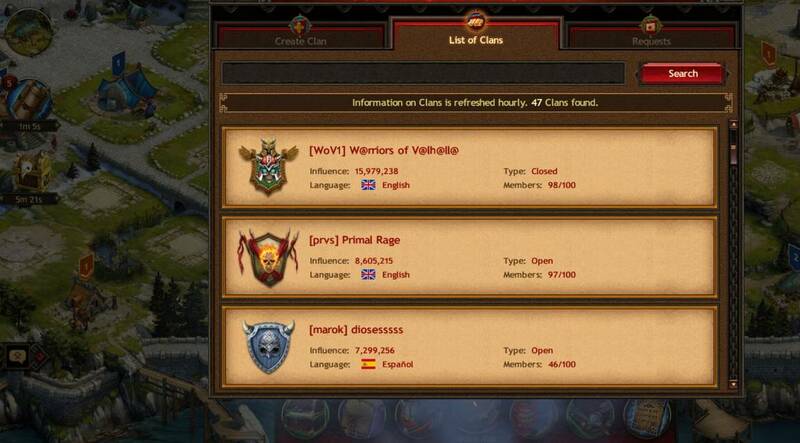 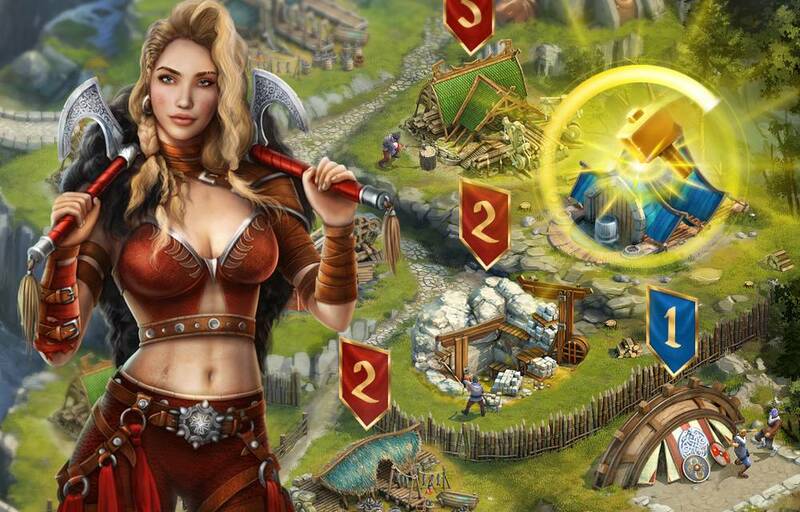 2017 Browser game with Vikings - Vikings: War of Clans is a strategy browser game set in the thematic world of Vikings, where as Jarls, players must build their kingdoms, armies and heroes to wage war against each other. 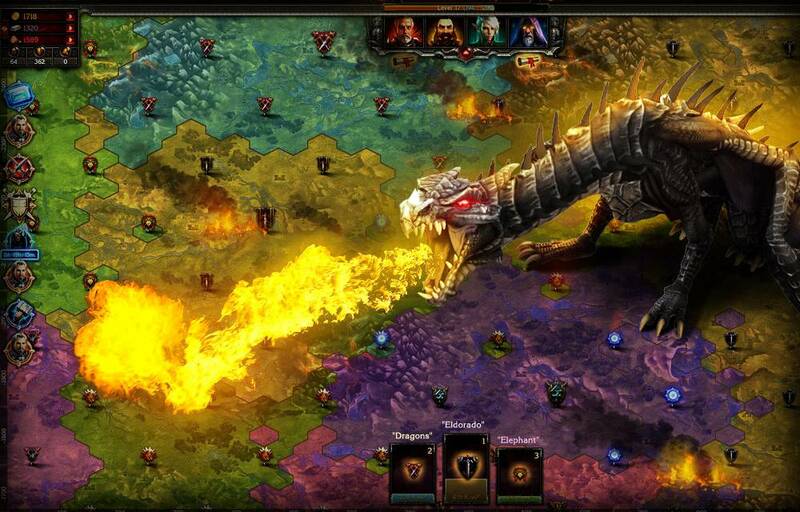 The game ... » read the review or watch the trailer! 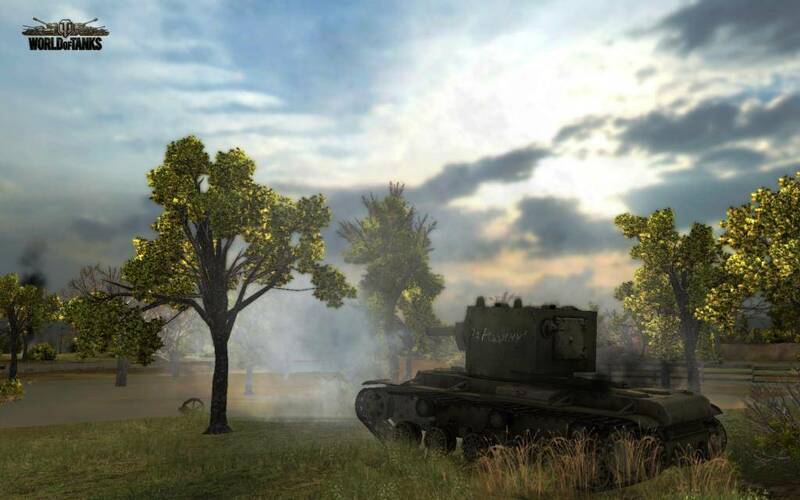 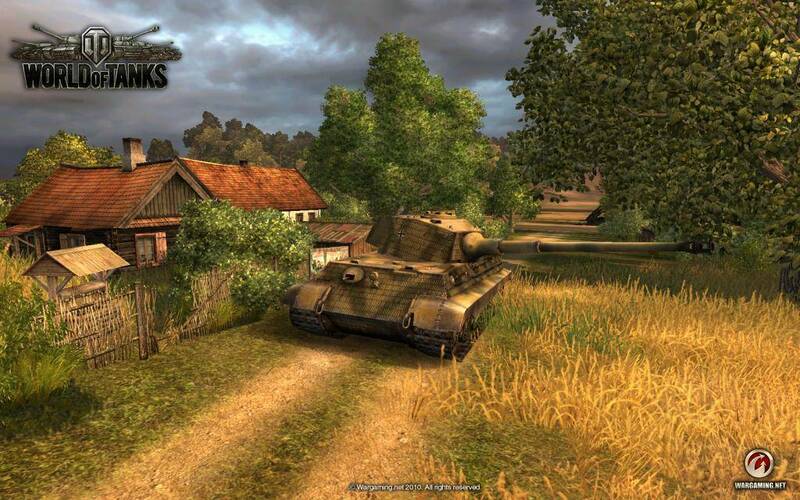 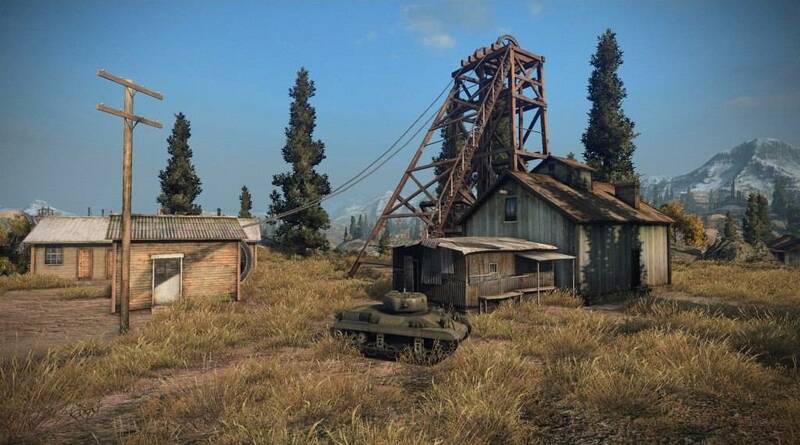 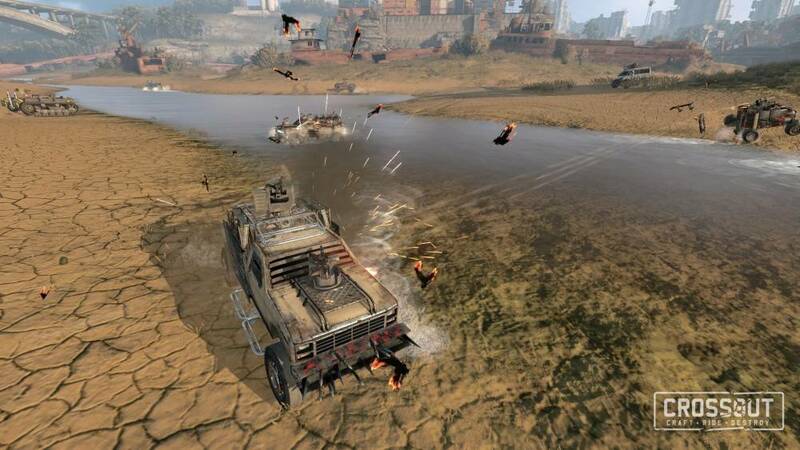 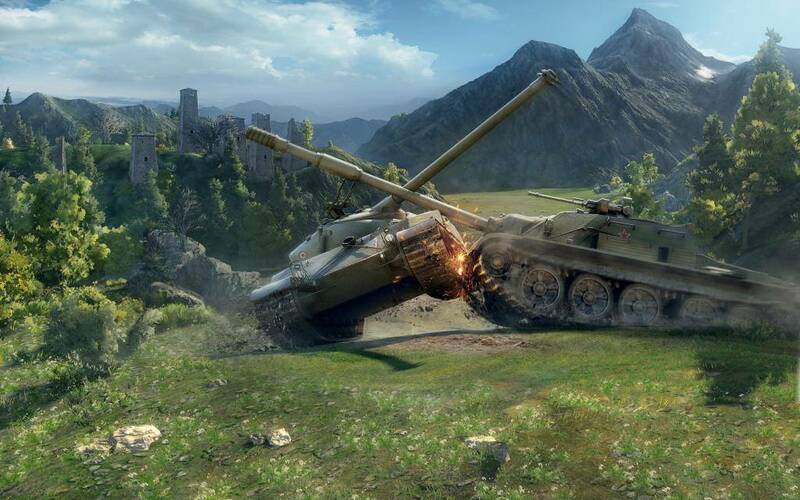 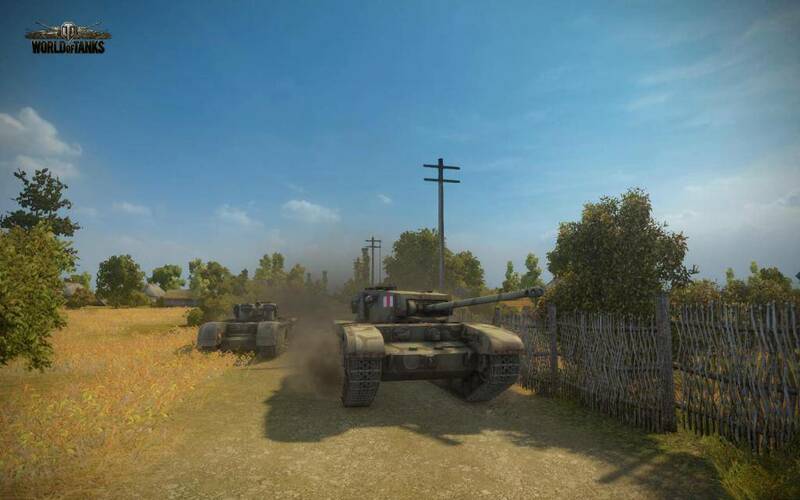 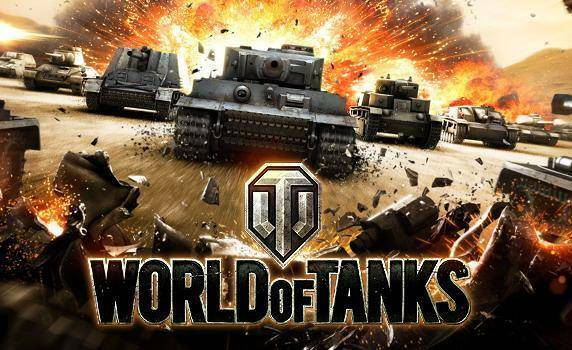 Tactical battles with powerful tanks - World of Tanks is one of the first and only tactical MMOs set in the unstable theatre of World War II with over 150 tanks from either The United States, Germany or USSR. 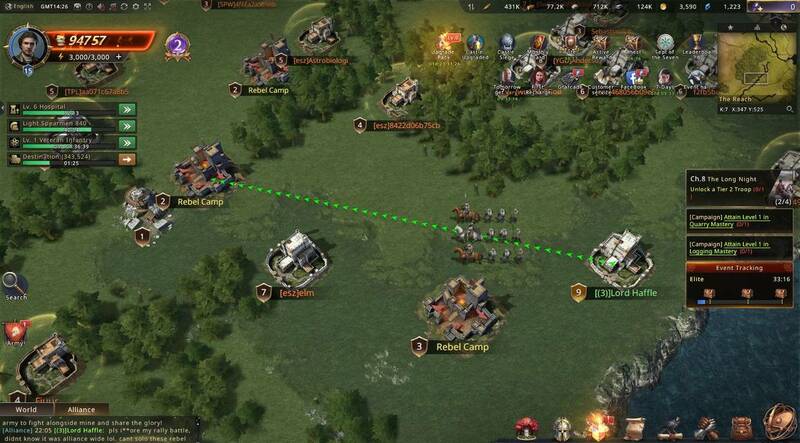 The system ... » read the review or watch the trailer! 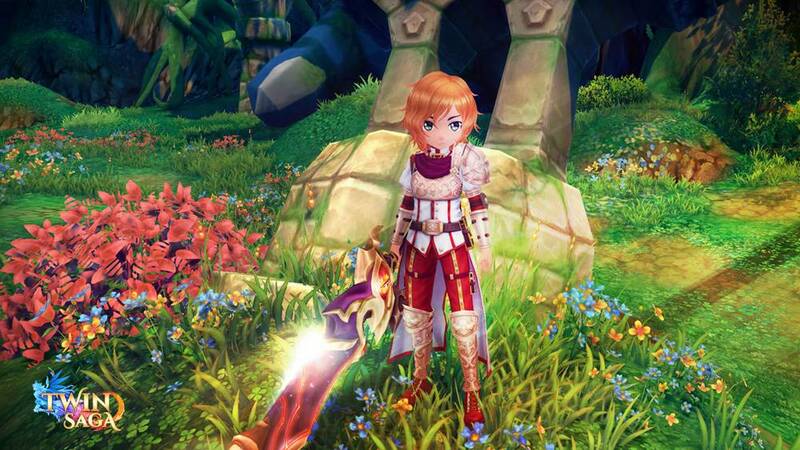 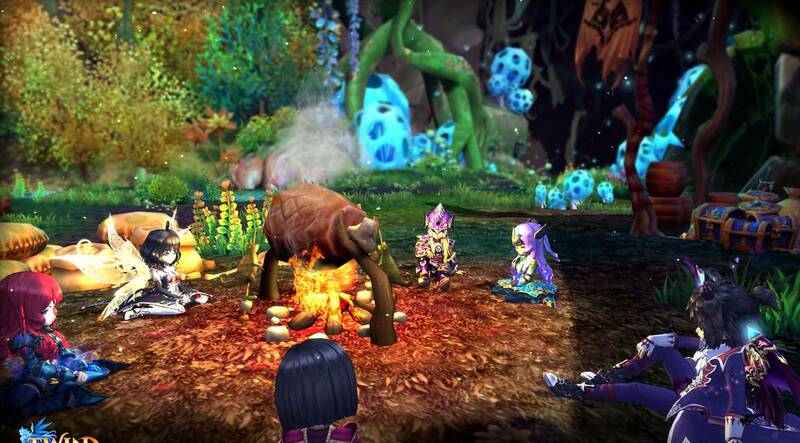 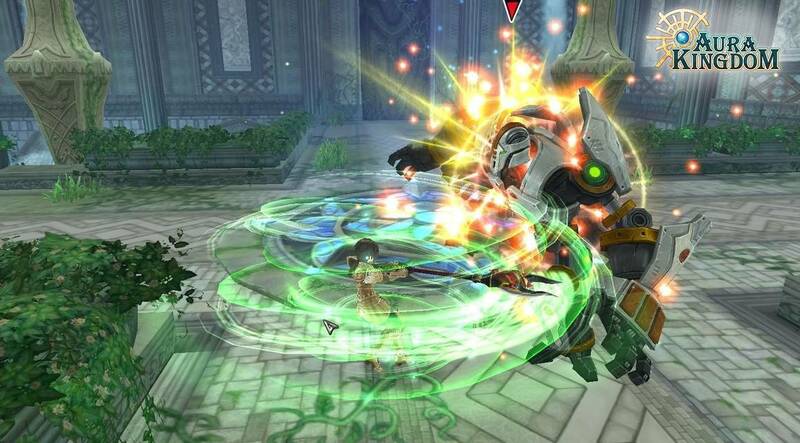 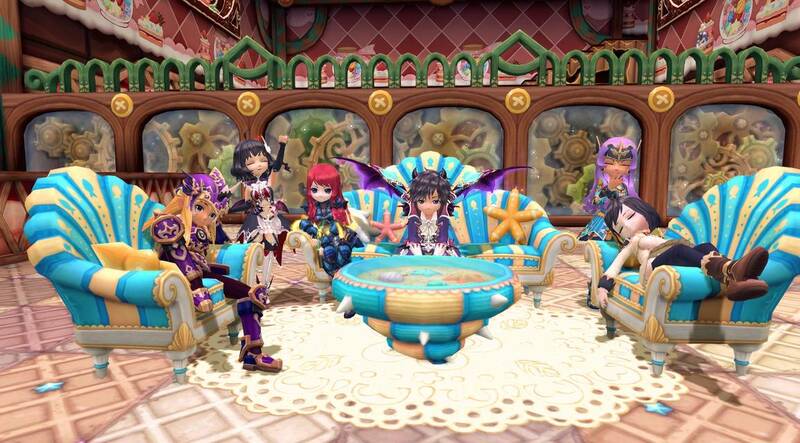 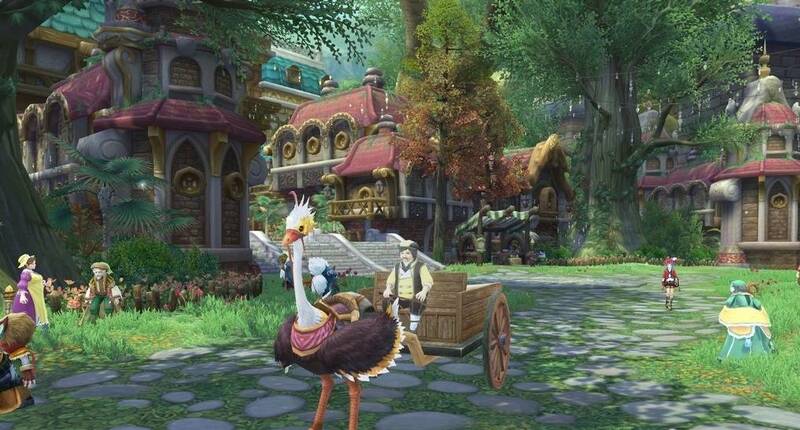 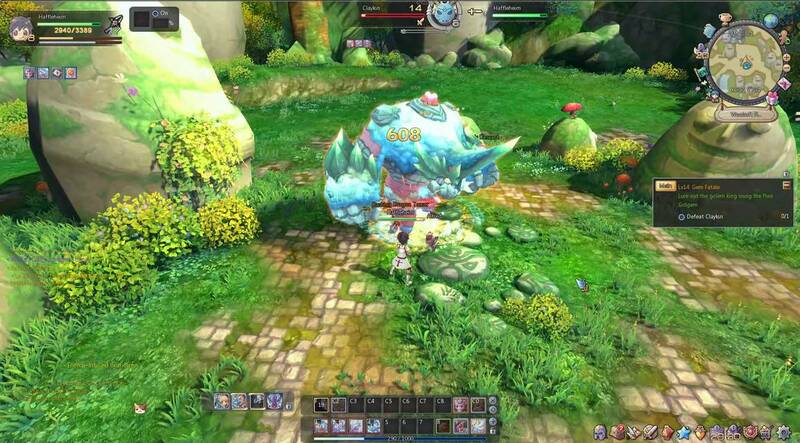 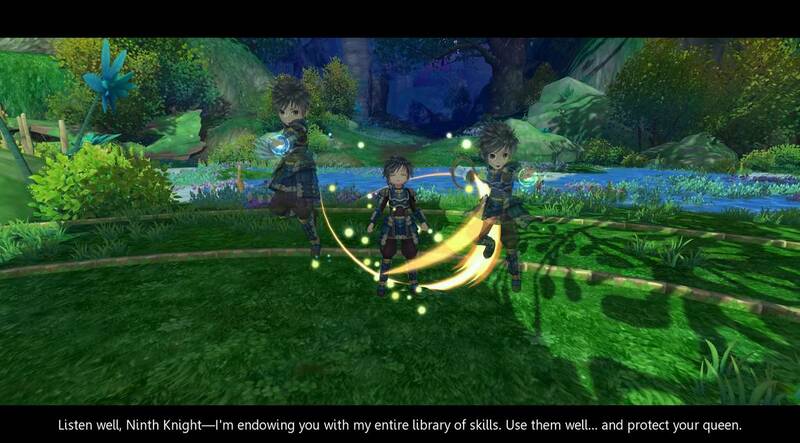 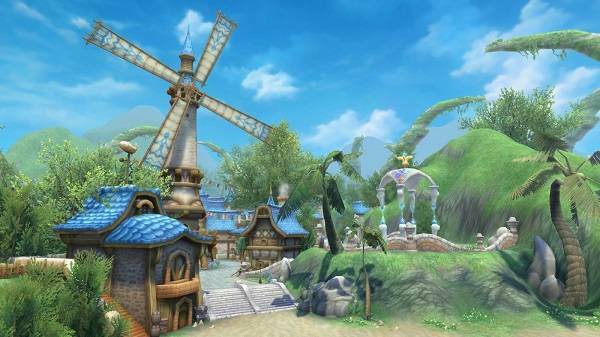 Aura Kingdom is a fantasy MMORPG published by Aeria Games on a free-to-play format. 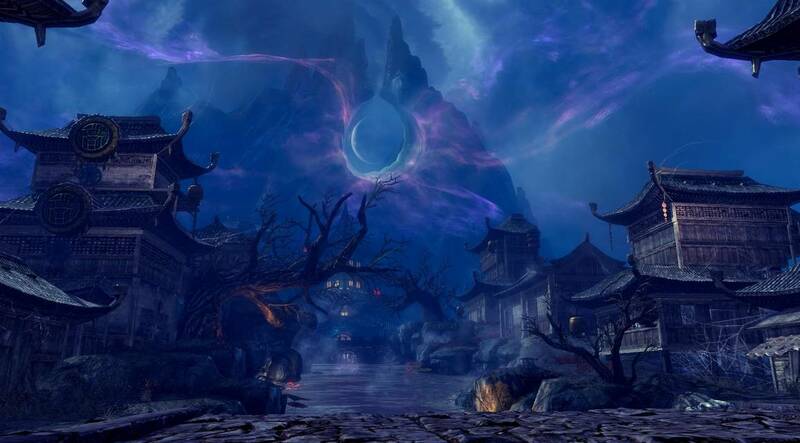 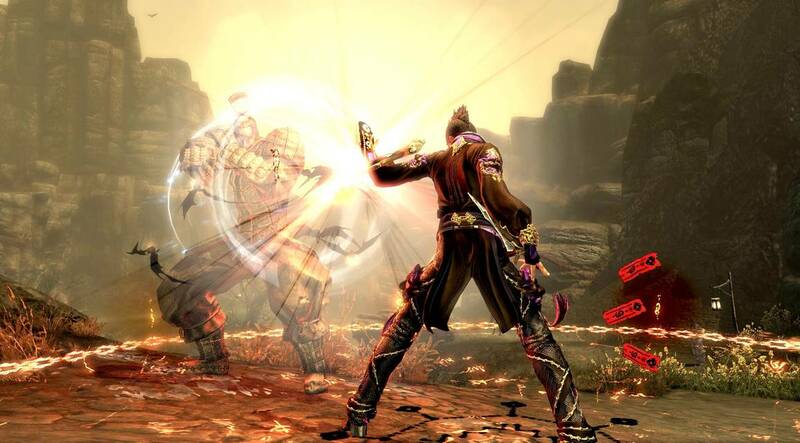 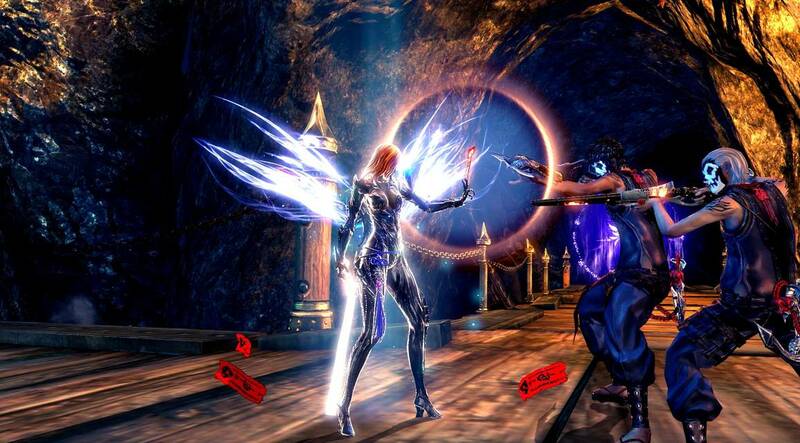 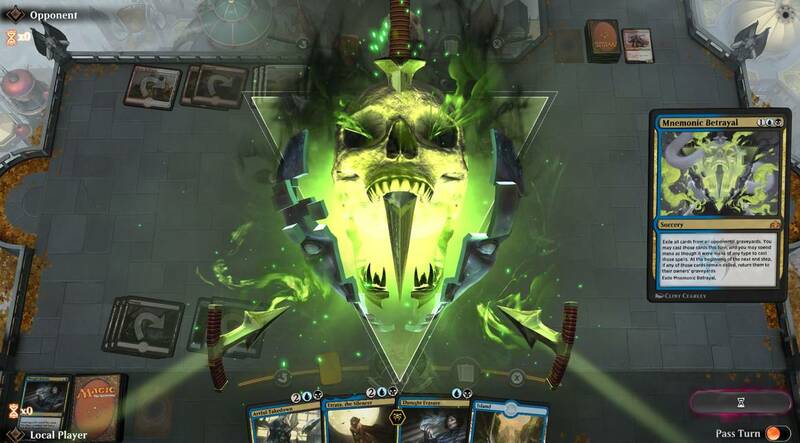 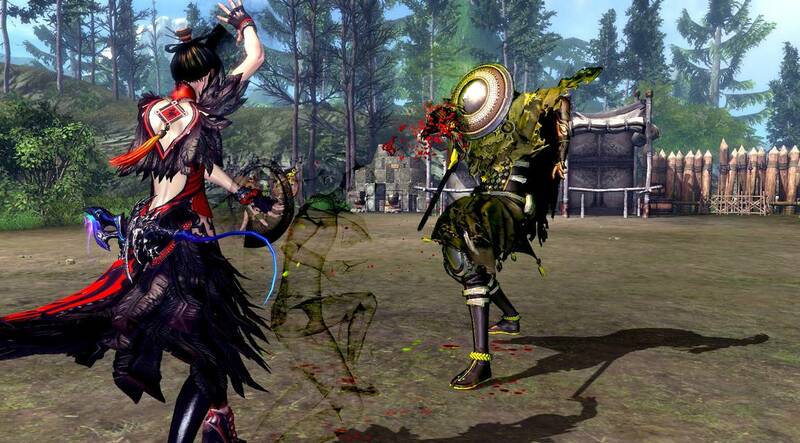 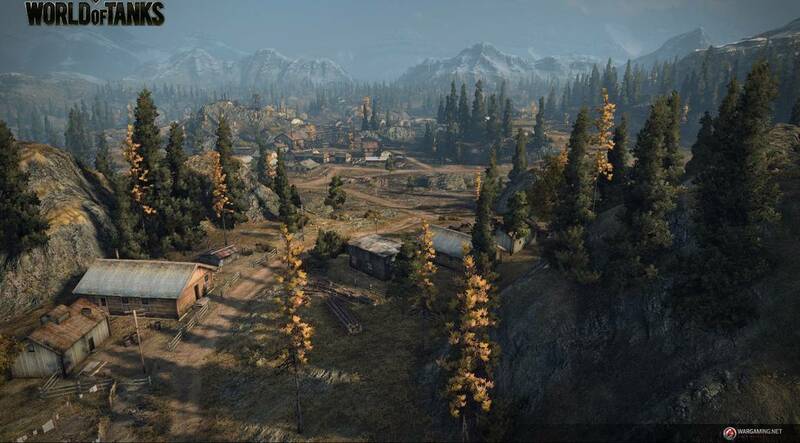 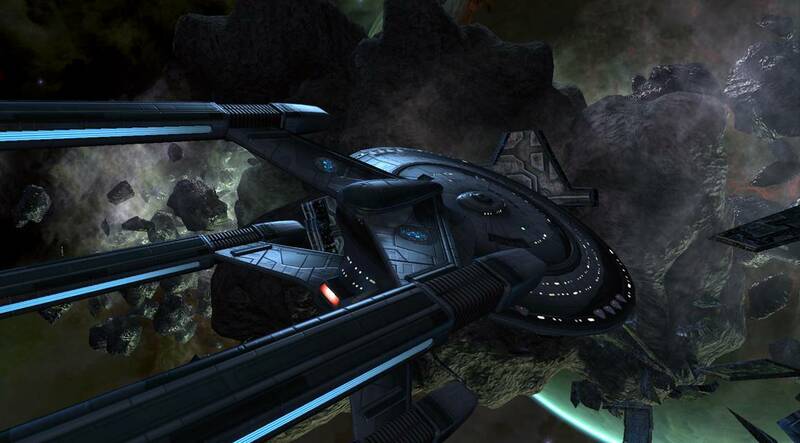 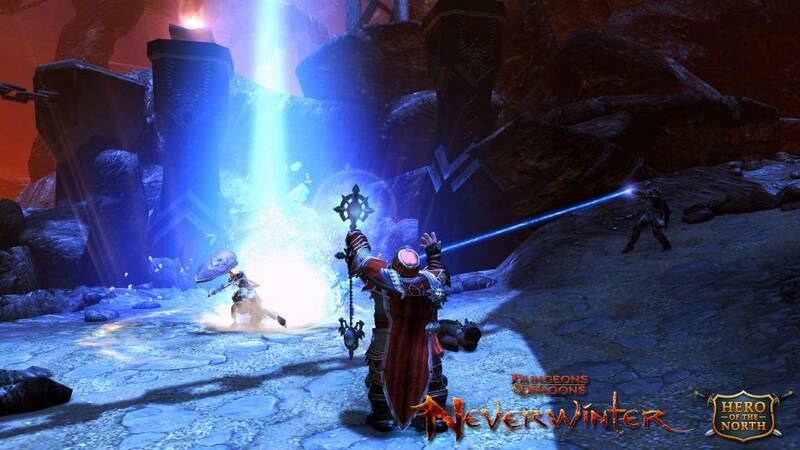 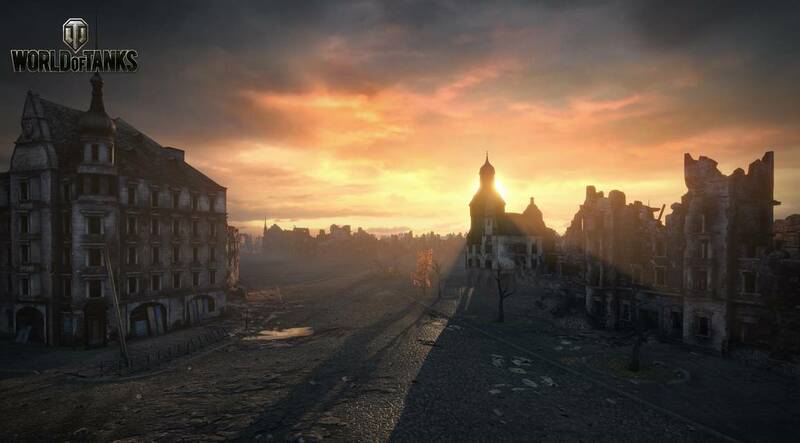 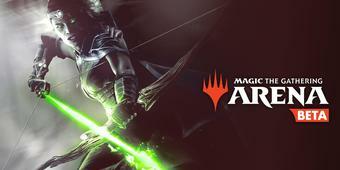 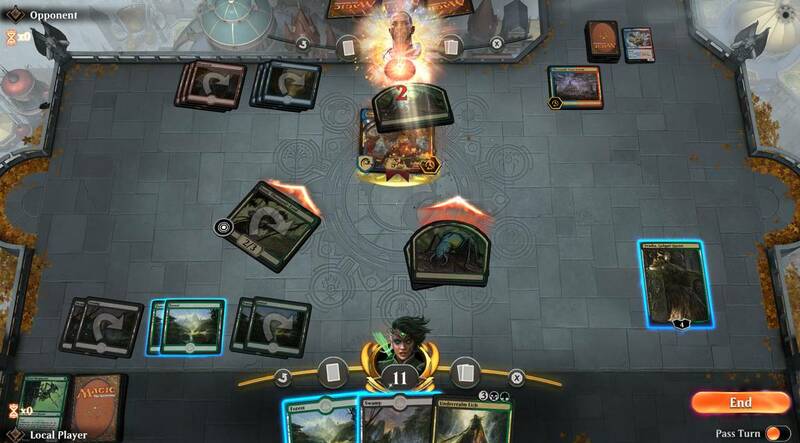 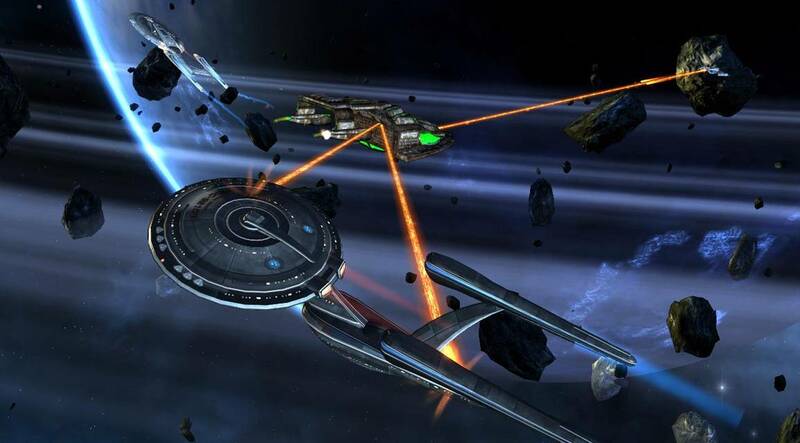 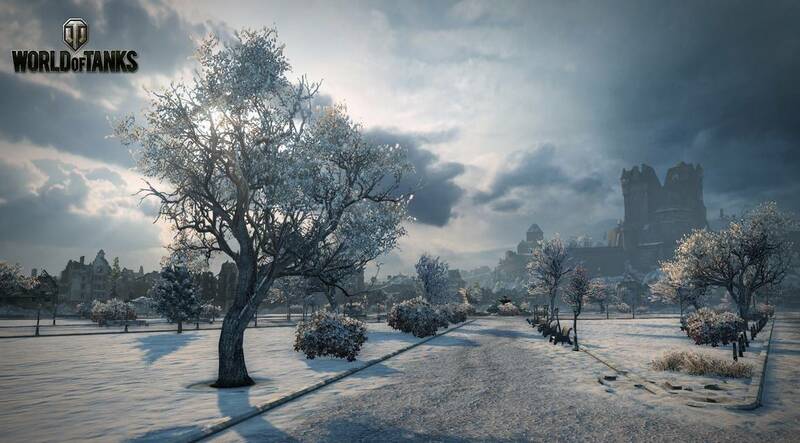 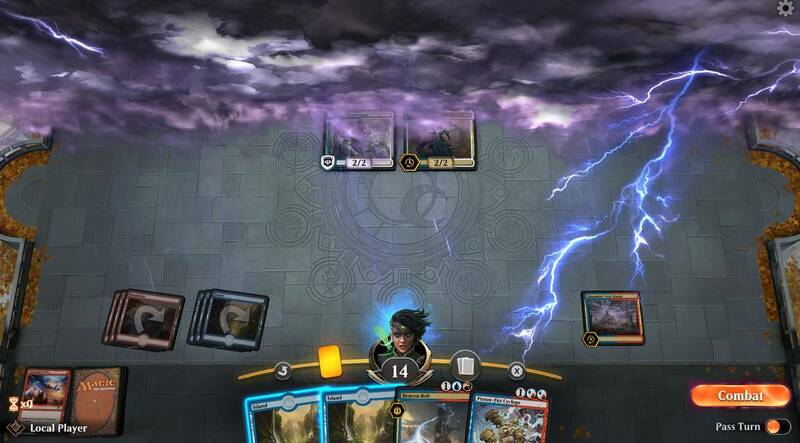 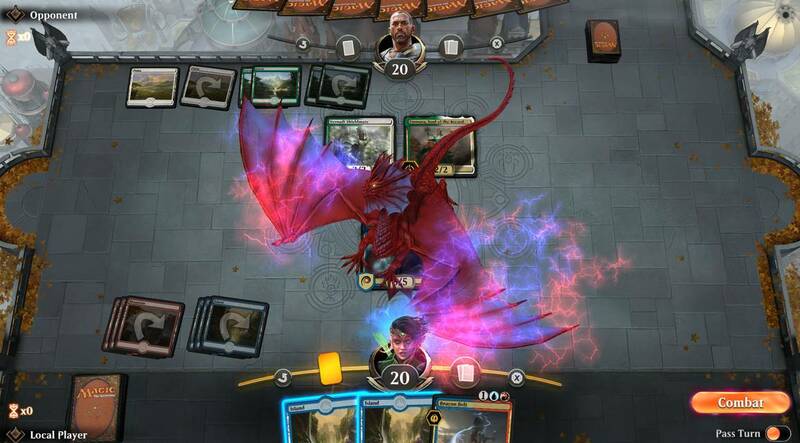 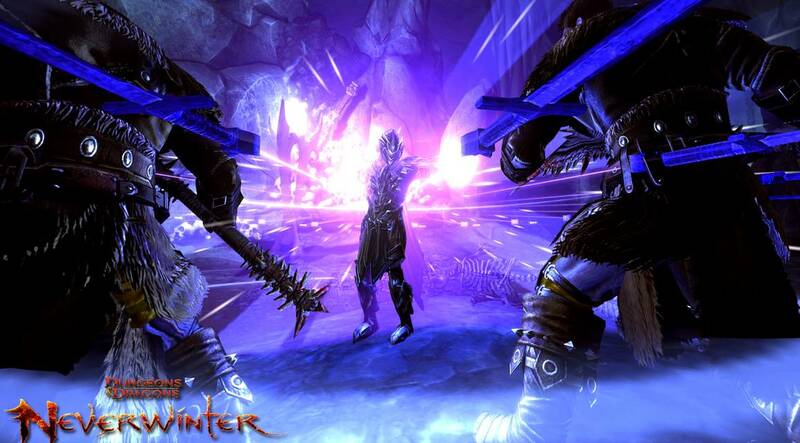 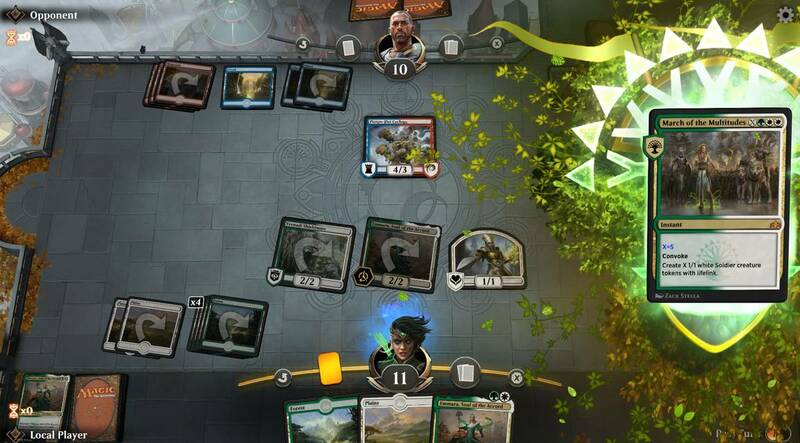 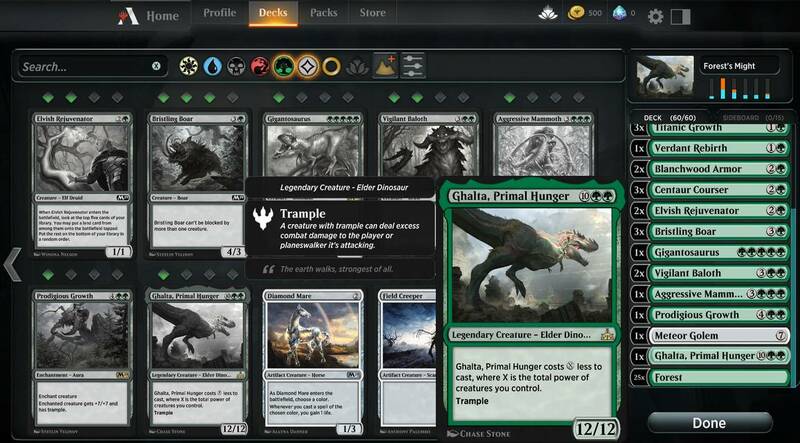 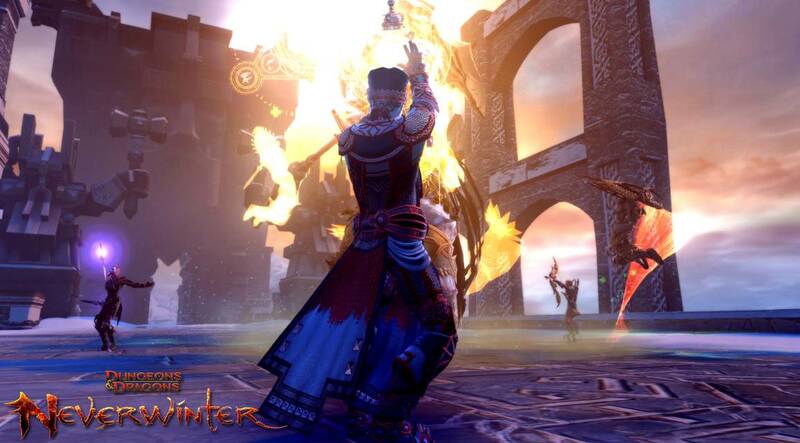 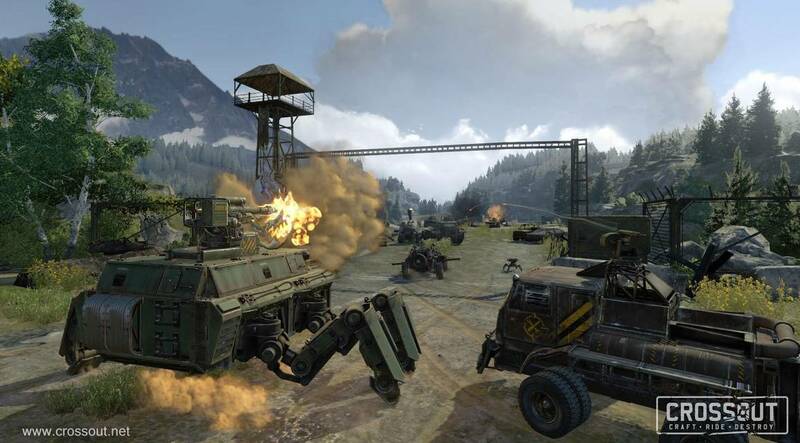 The closed beta was released in 2013 while the open beta was released in 2014. 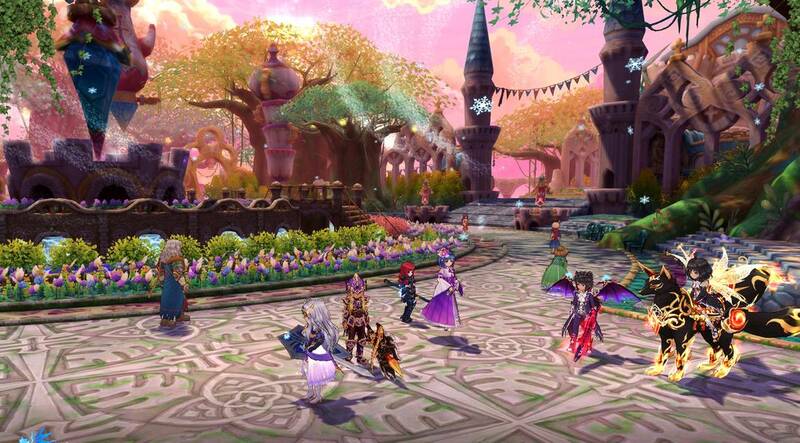 The game is very colorful and ... » read the review or watch the trailer! 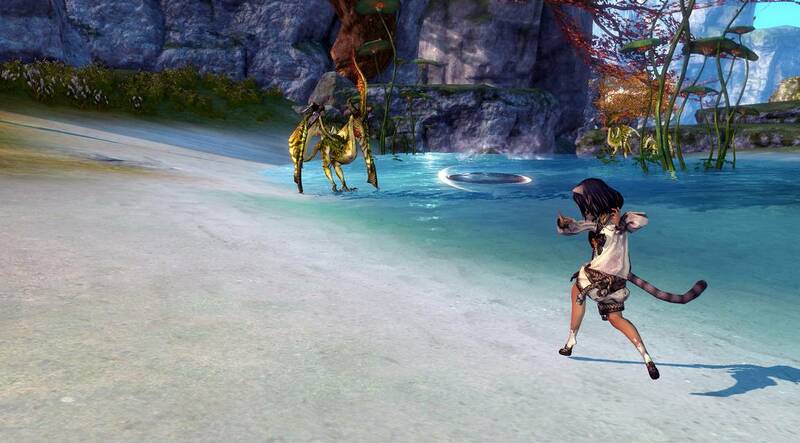 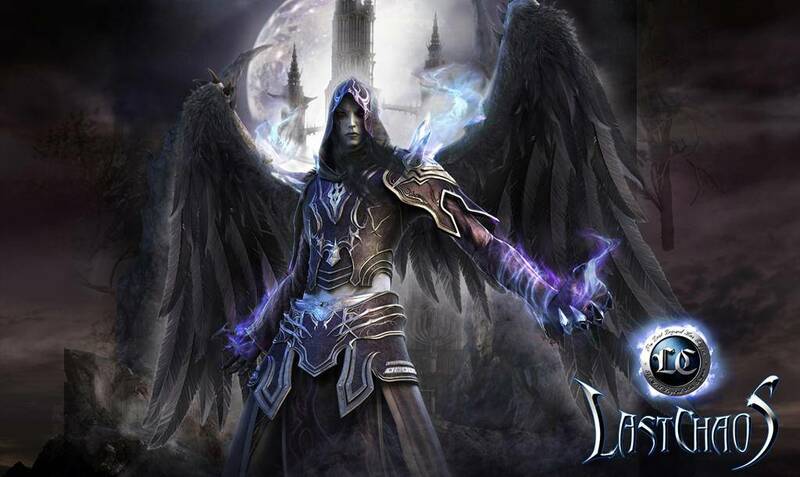 Korean MMORPG - Last Chaos is a bit of an oddity. 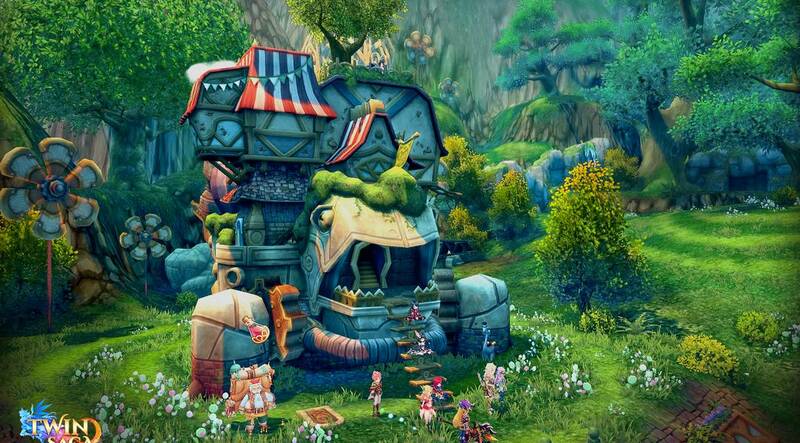 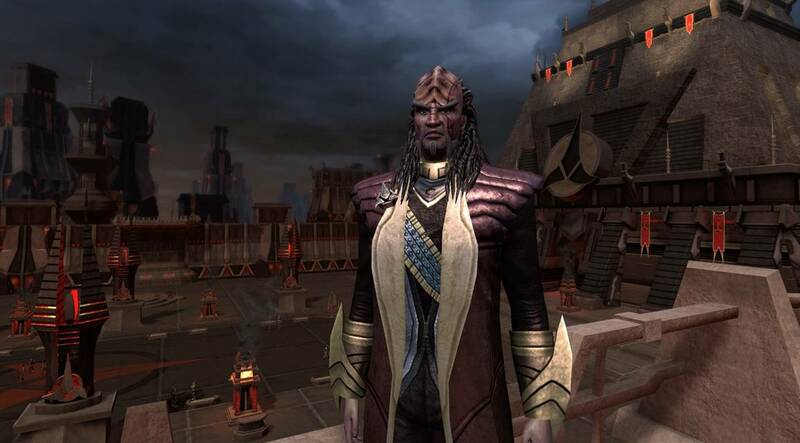 Despite its age and dwindling popularity it seems to preserve in an MMO ecosystem rife with other choices. 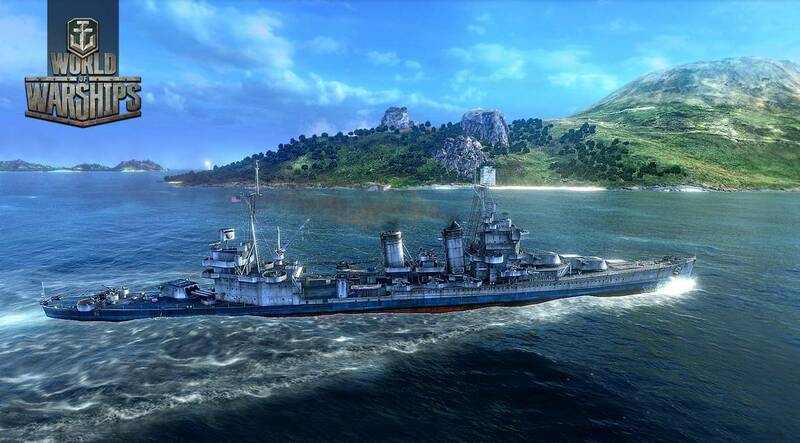 It’s a relic of a bygone era, and maybe ... » read the review or watch the trailer! 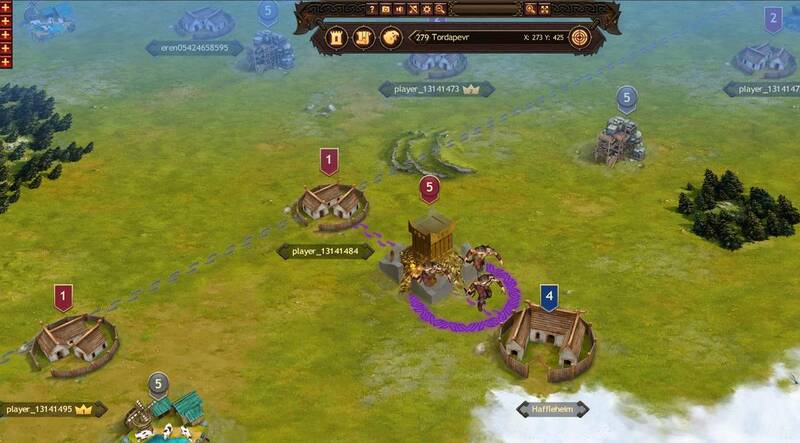 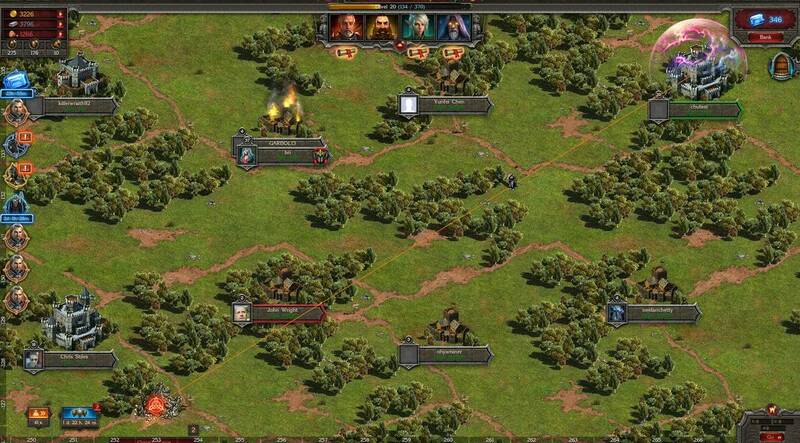 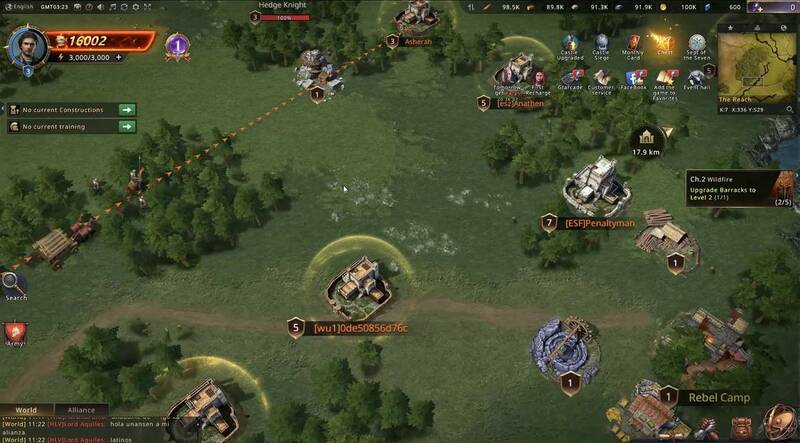 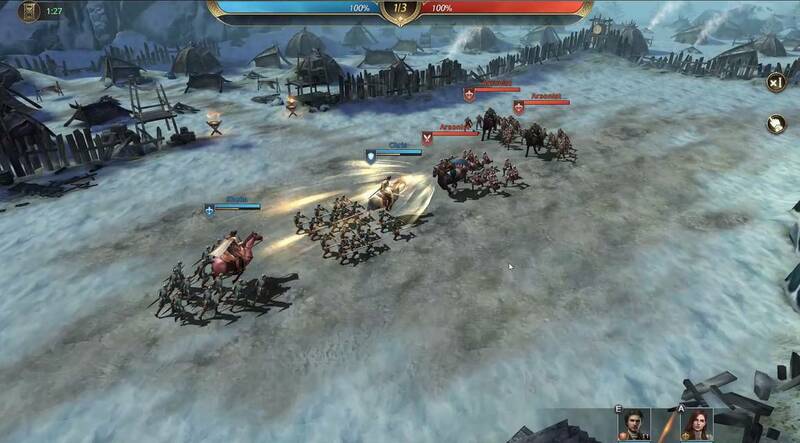 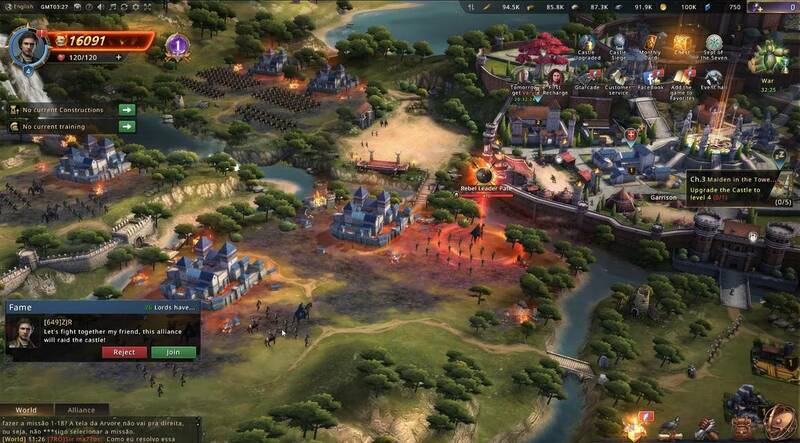 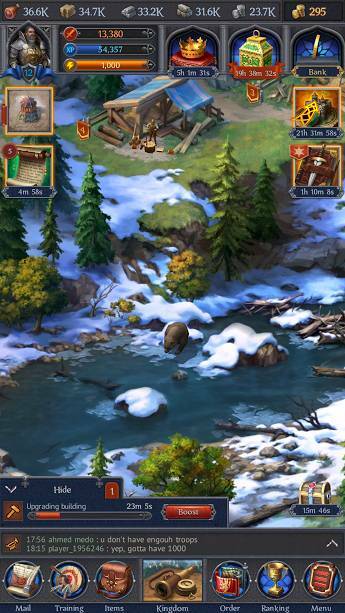 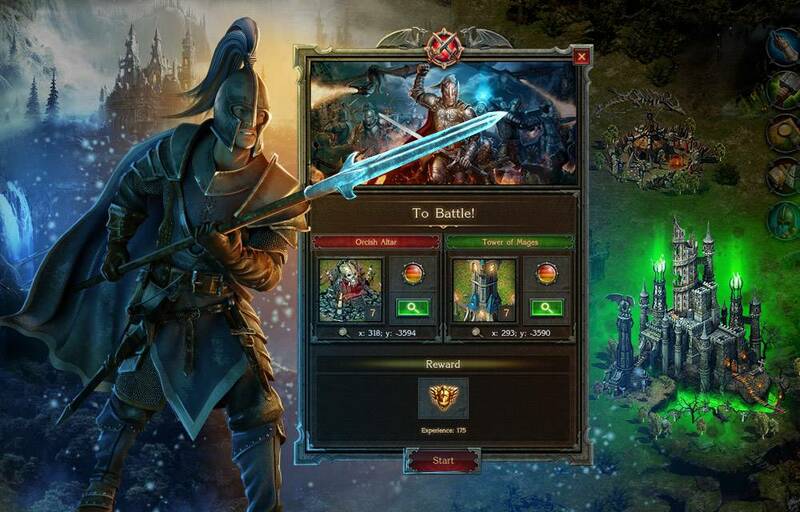 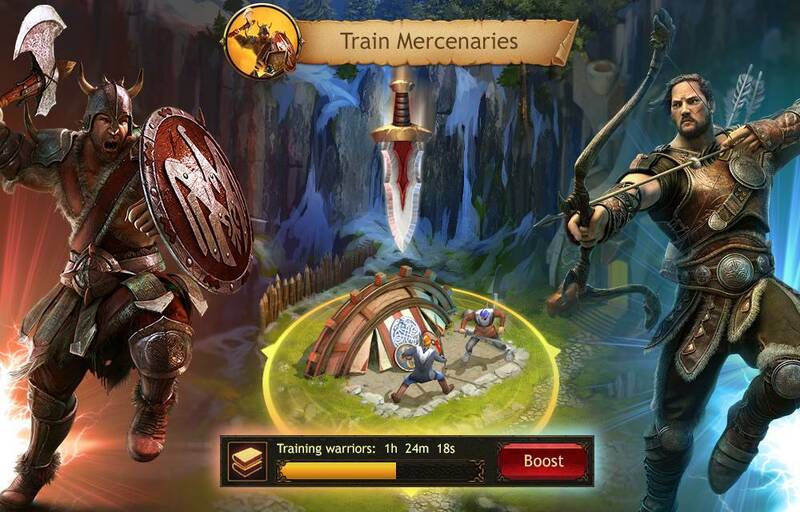 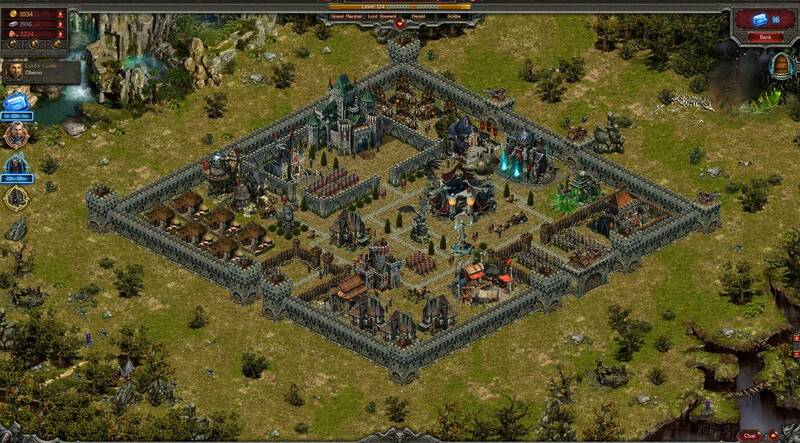 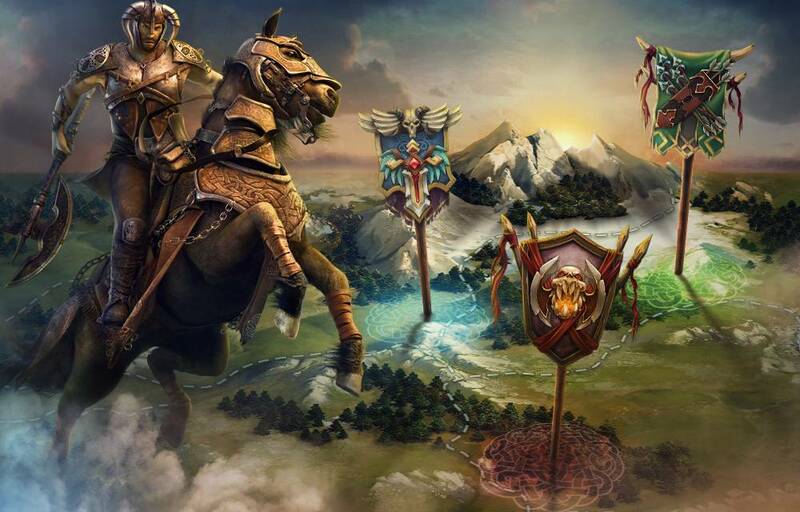 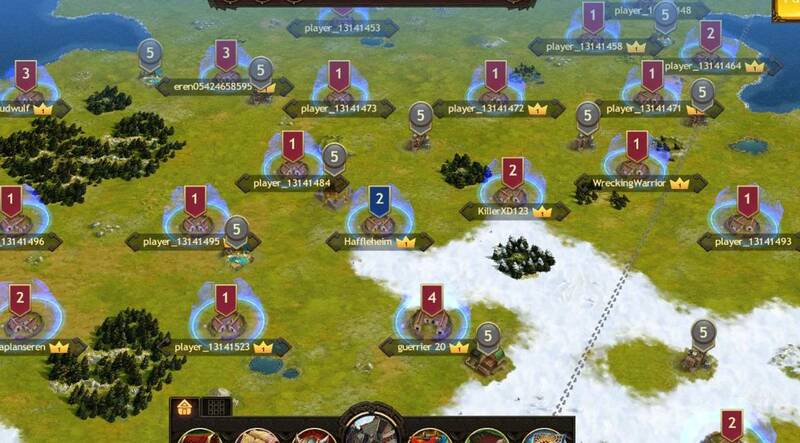 Humoristic fantasy browser game - Stormfall: Age of War is a browser-based MMO strategy game by developer Plarium. 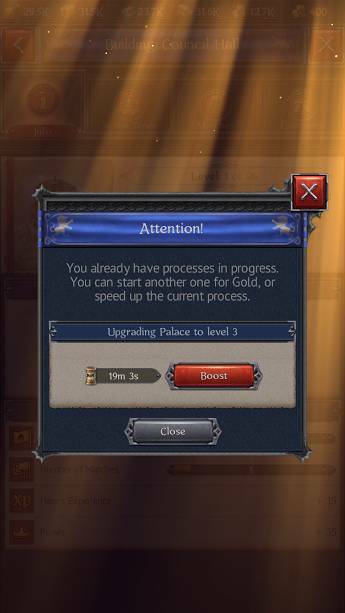 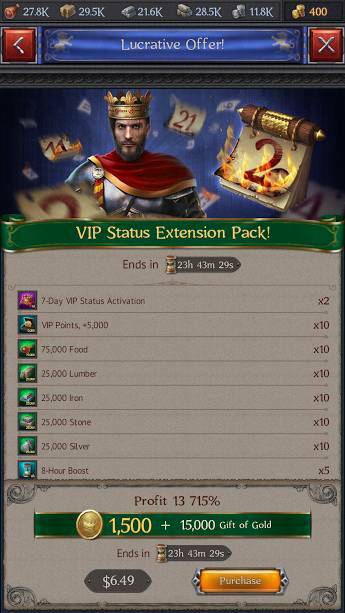 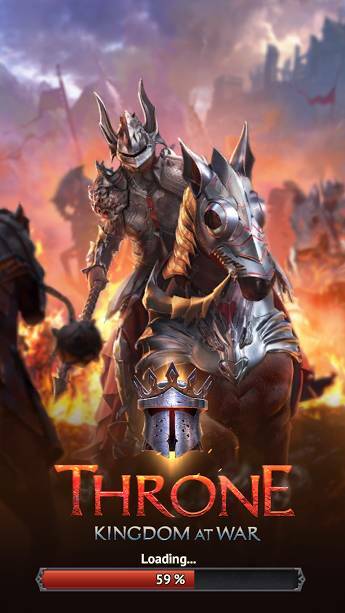 In the game you must create and upgrade your castle, while also building an army to pillage the castles of other players ... » read the review or watch the trailer! 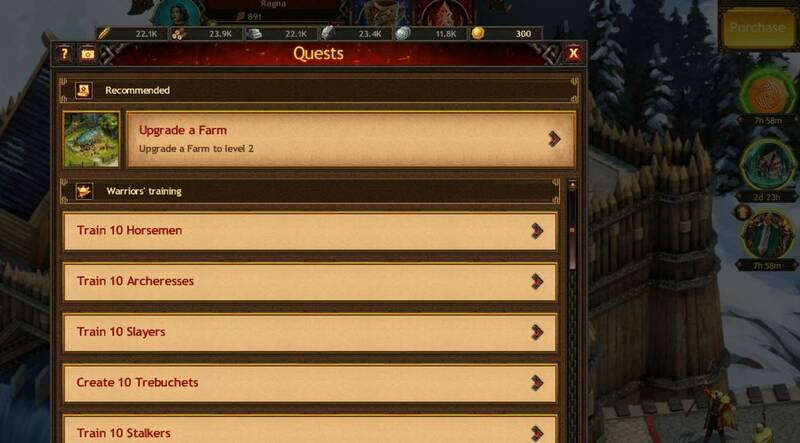 » ...go to the complete ranking! 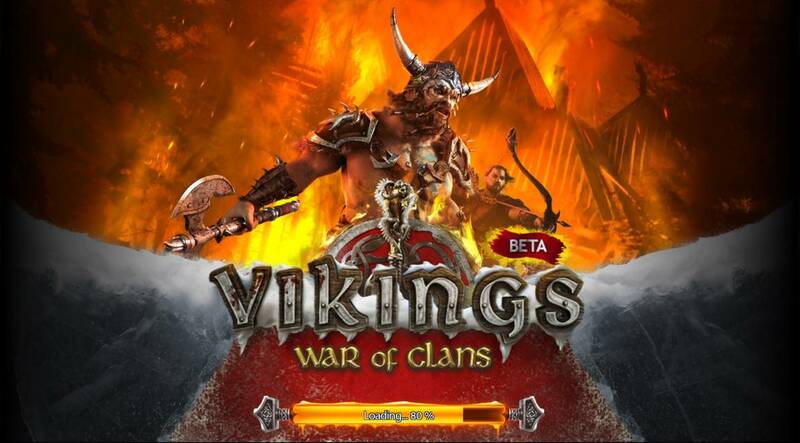 read the review or Play now! 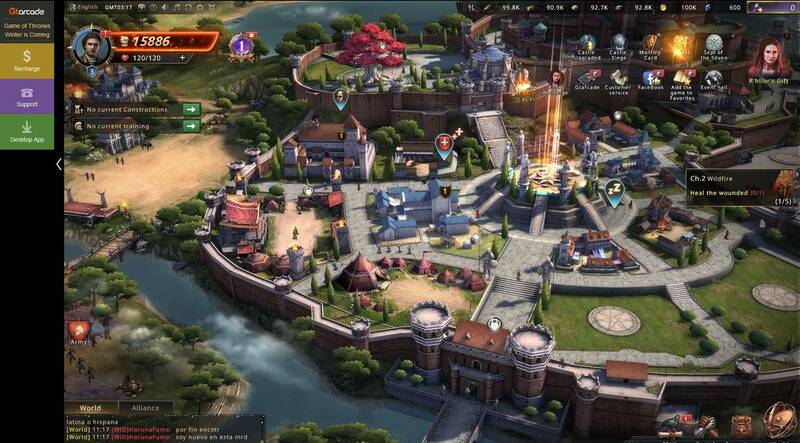 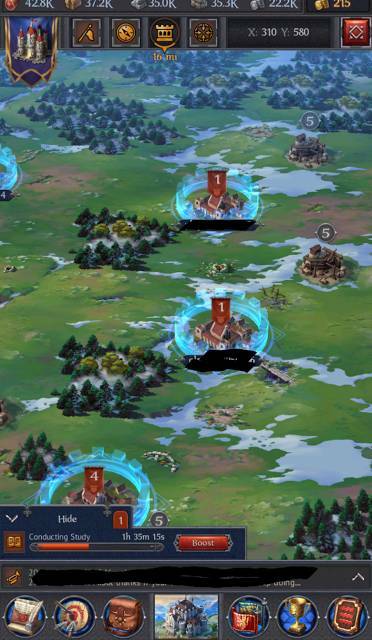 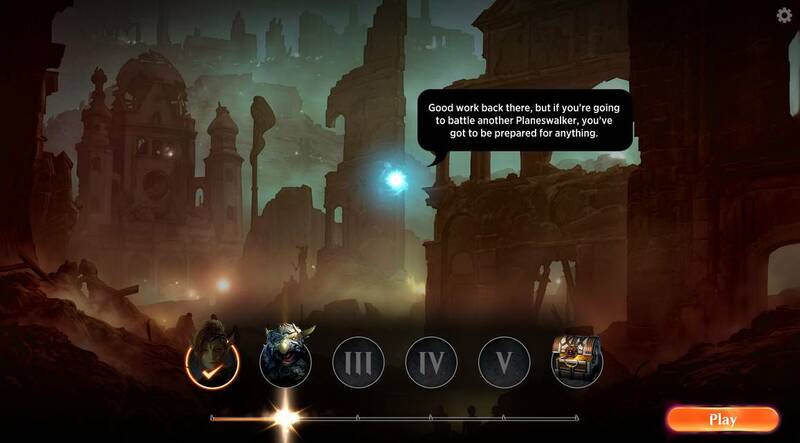 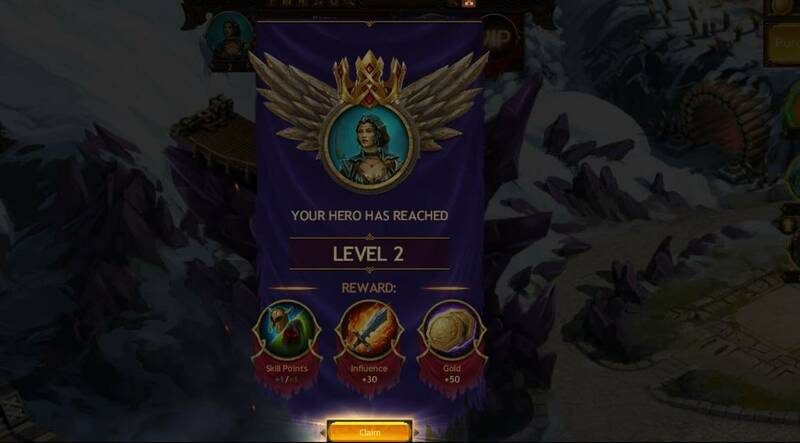 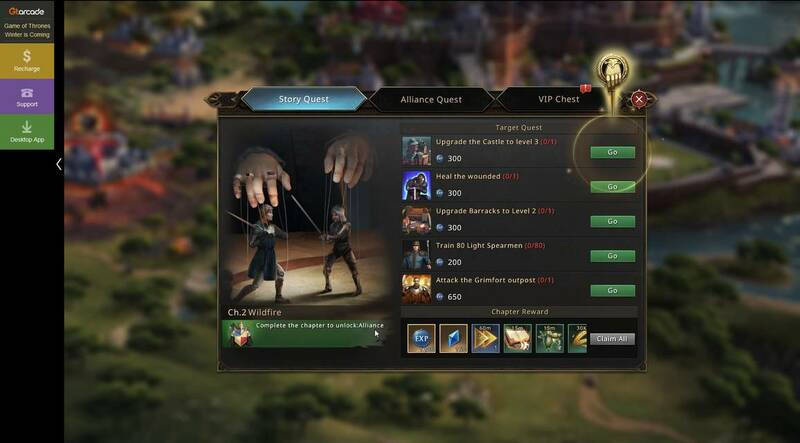 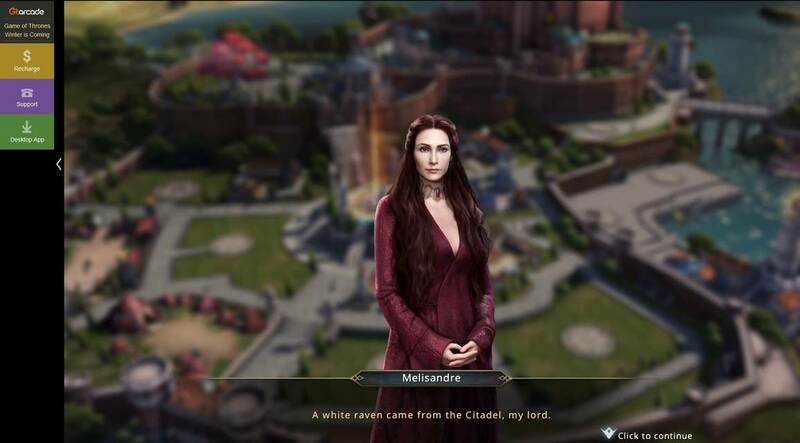 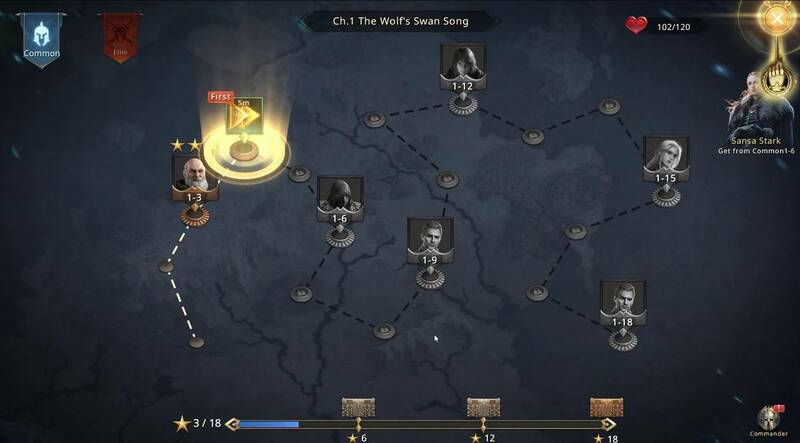 Adventure awaits, patience not included - Build your kingdom, forge your alliances, and make yourself a legend in this visually stunning MMO browser (and mobile) game. 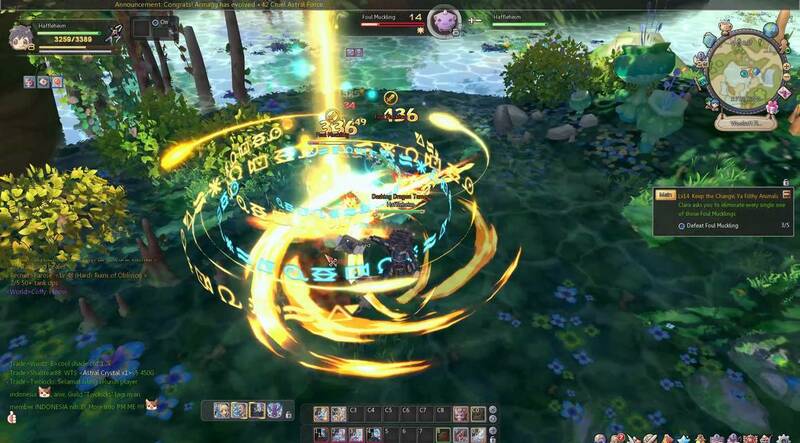 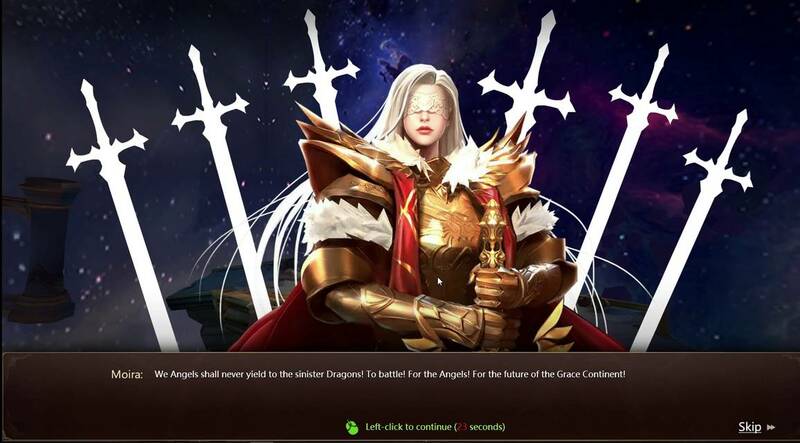 Welcome to MMO&MMORPG, the portal dedicated to the best MMO Games, MMORPG, MOBA and free to play Browser Games of 2018. 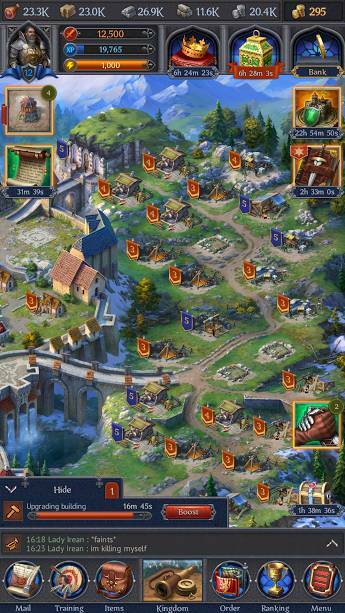 On this page you'll be able to find the best online games we reviewed ordered by vote. 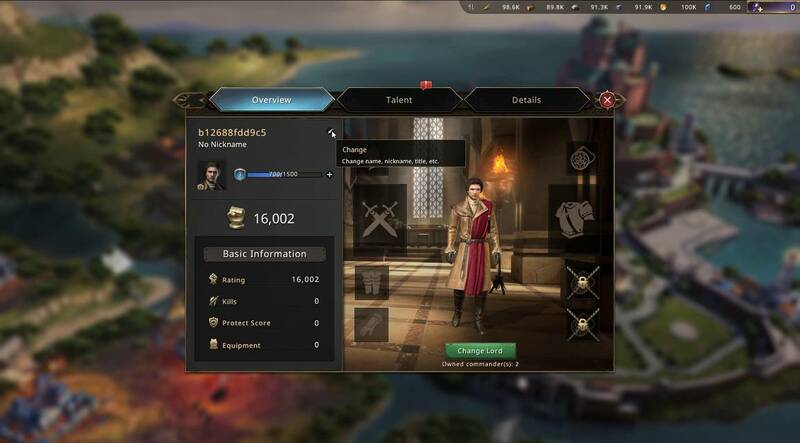 This ranking includes - to cite some of the most popular categories of online games - Online Role Playing Games (MMORPG), Shooter games, Strategy browser games, War browser games, MOBAs, fantasy and adventure games and many more. 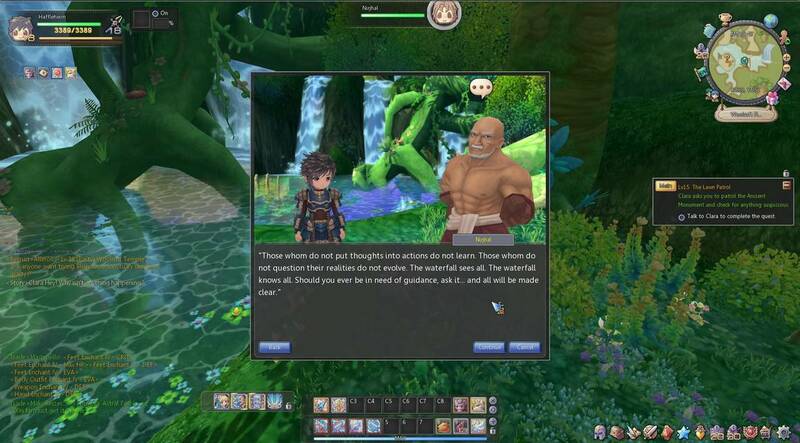 We have decided to give top priority to the games in English: the greatest part of the MMO games, MMORPG and browser games we talk about is available in English with English servers where you can play. 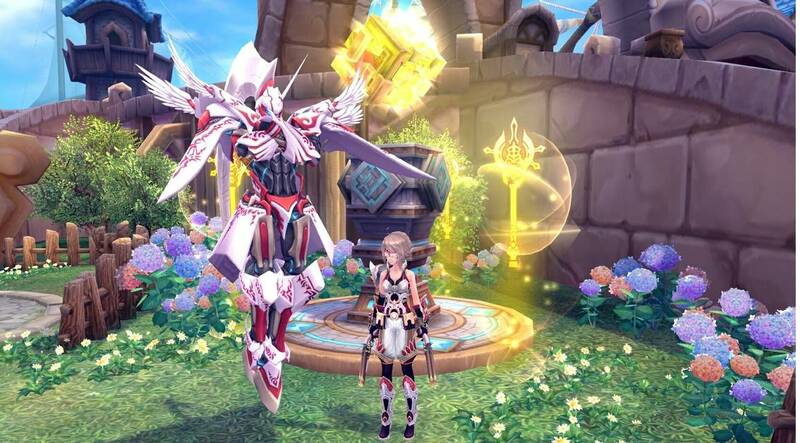 Nevertheless, we have decided to make some exceptions to this rule for the best free MMORPG games 2018 unavailable in English, giving them some space on our online games portal. 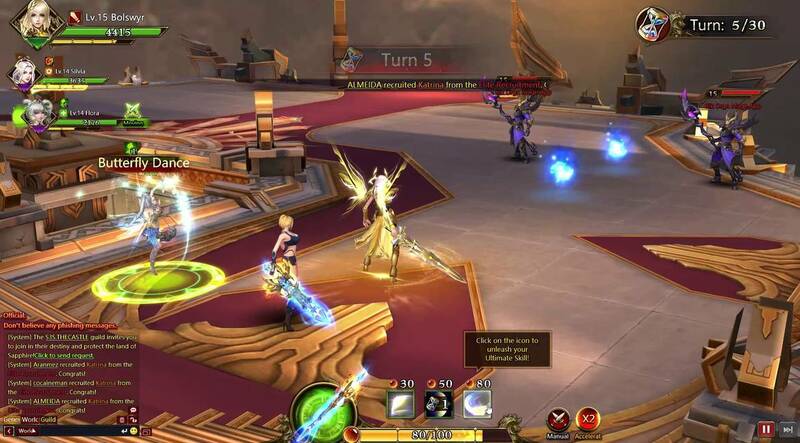 MMORPGs (Massively Multiplayer Online Role Playing Games), are without any doubt the most popular type of free MMO games in 2018. 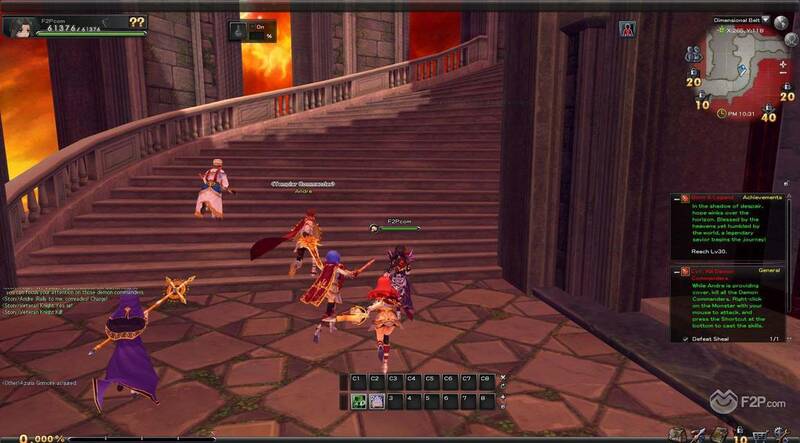 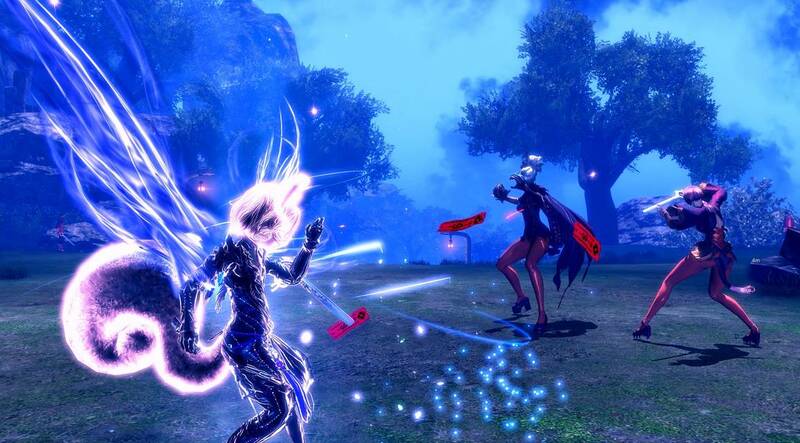 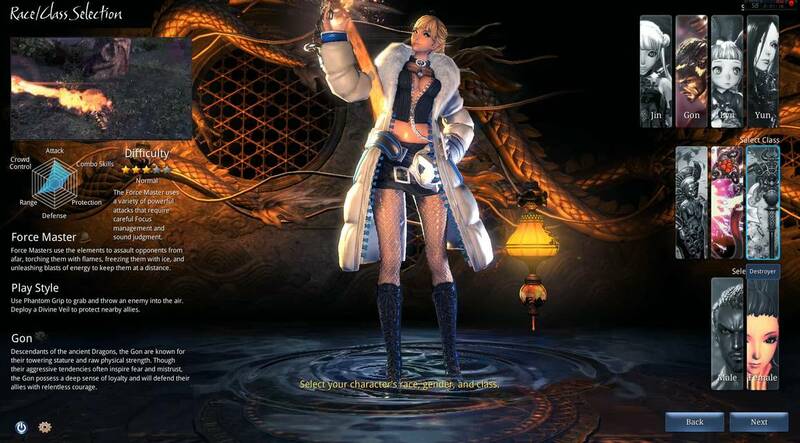 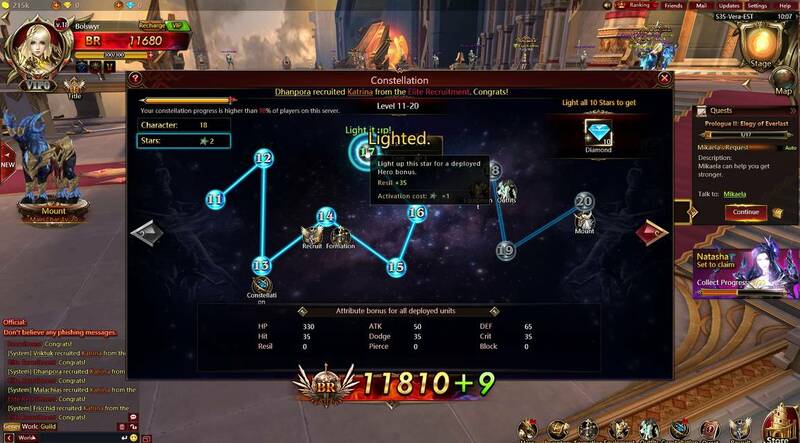 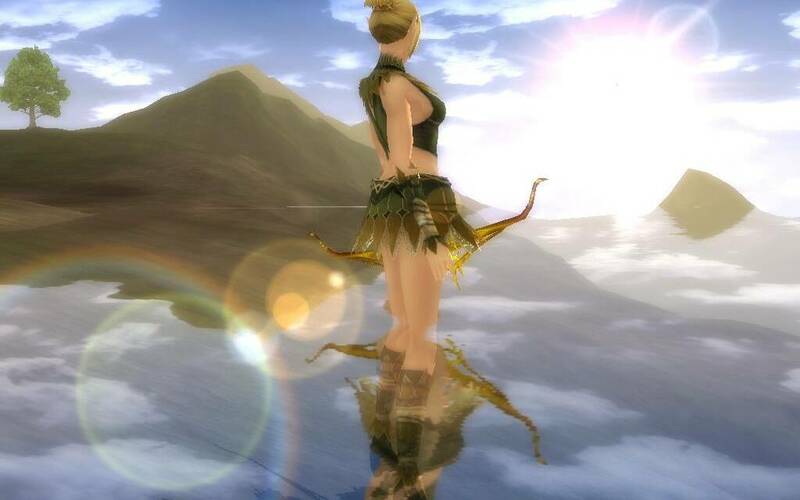 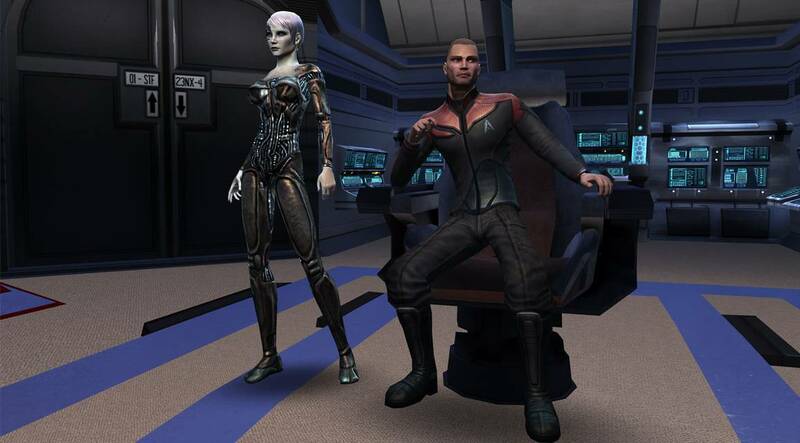 In a typical MMORPG, each user has its own virtual alter-ego wander through the online gaming world, complete quests, kill enemies and interact with other players: this way, the character will earn experience points, learn new skills and become stronger and stronger. 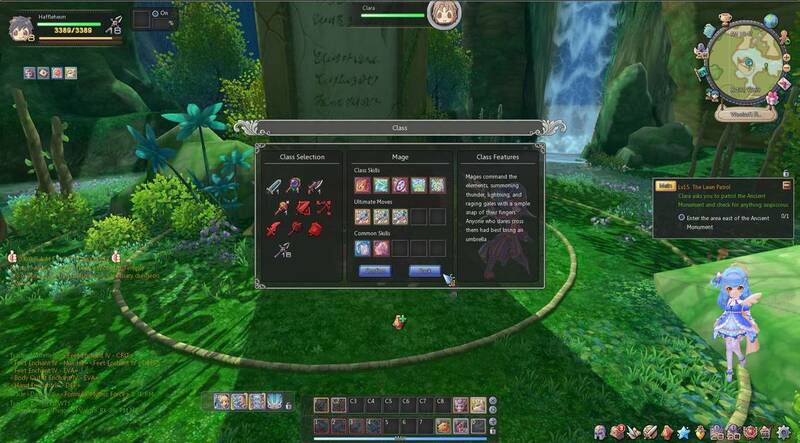 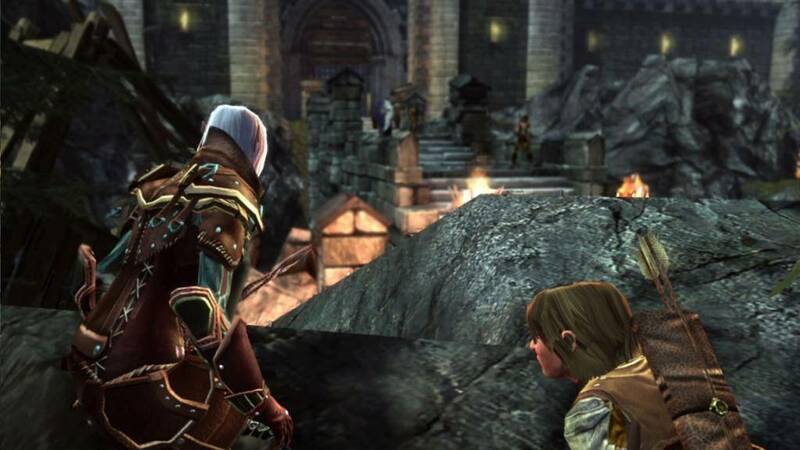 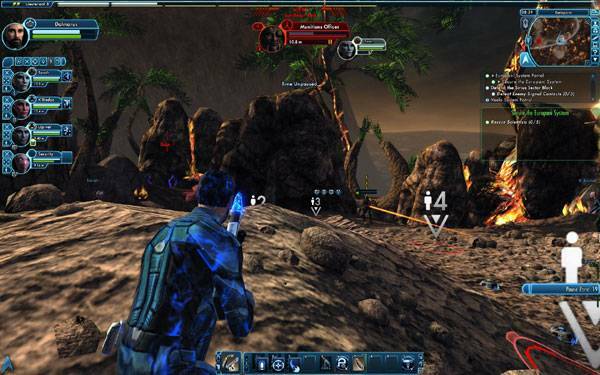 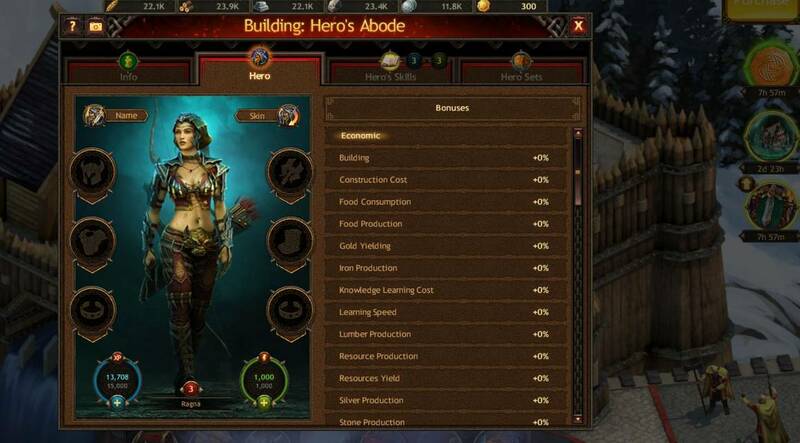 Most MMORPGs (often referred-to as "online rpg games") require the download of a game client, but there are also several browser-based RPG games. 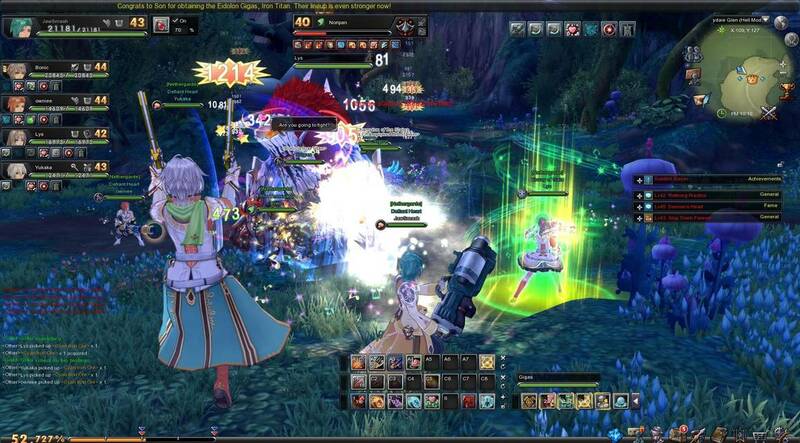 Of course, here on MMO&MMORPG, we have a section dedicated only to the best MMORPG of 2018. 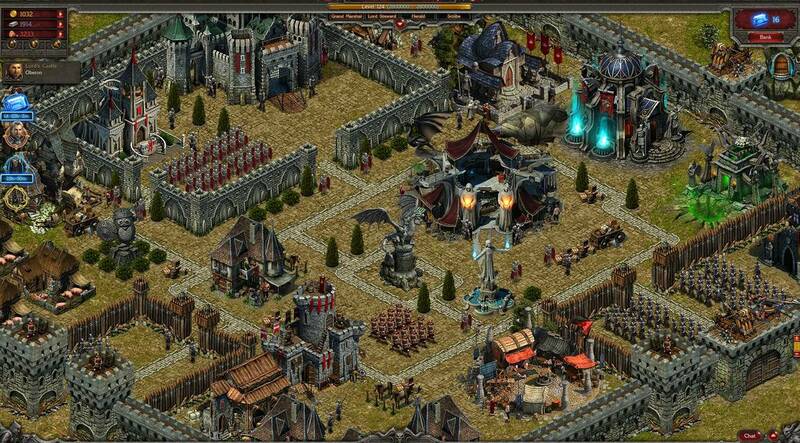 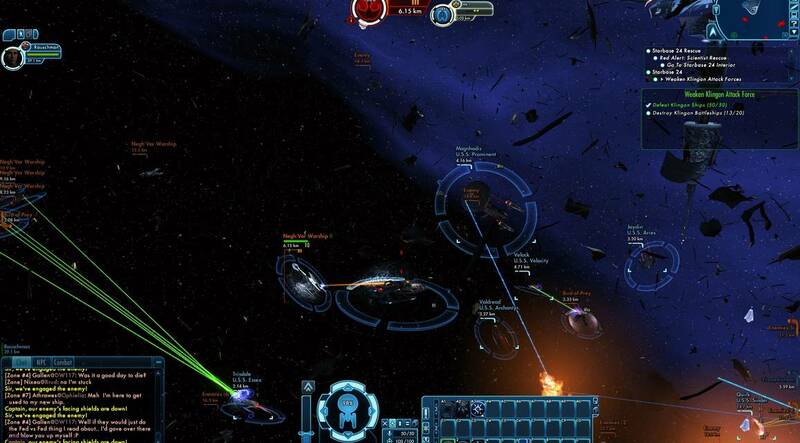 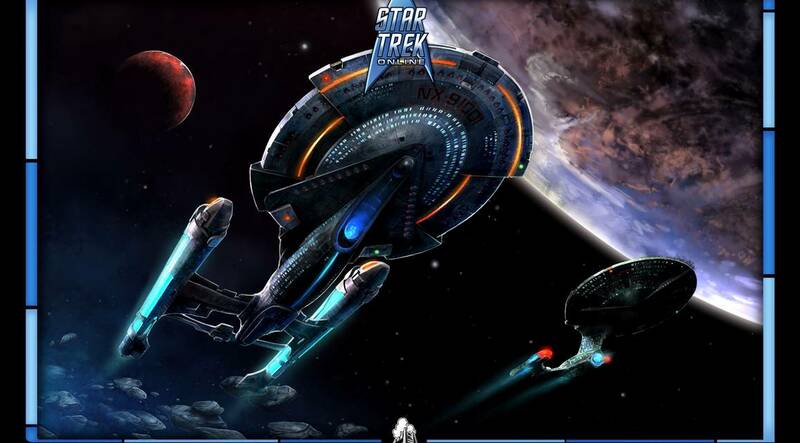 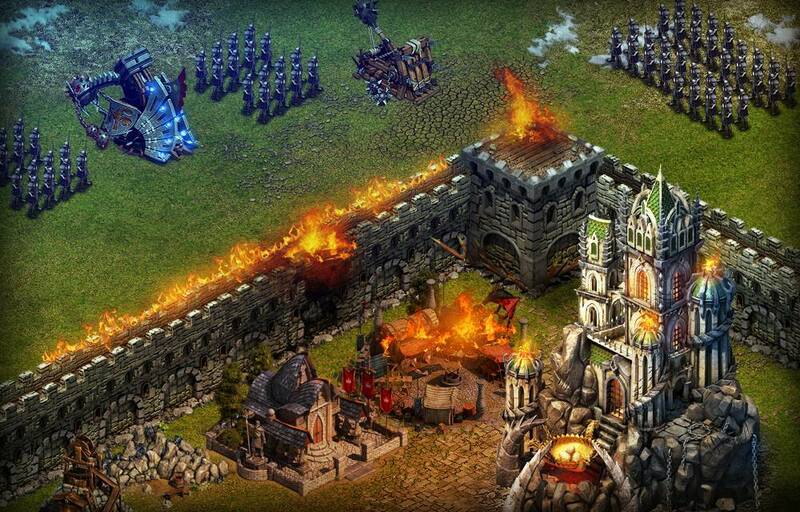 Browser Games are free online games that you can play through your browser. 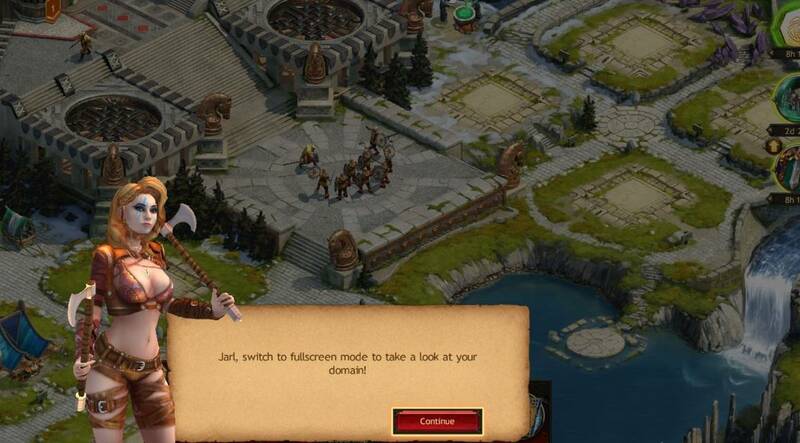 Most free browser games in 2018 are war games or strategy games, but there are also several browser-based online RPGs. 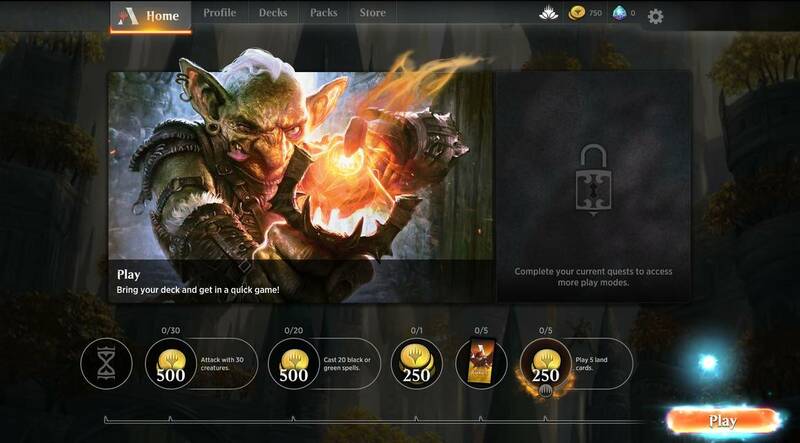 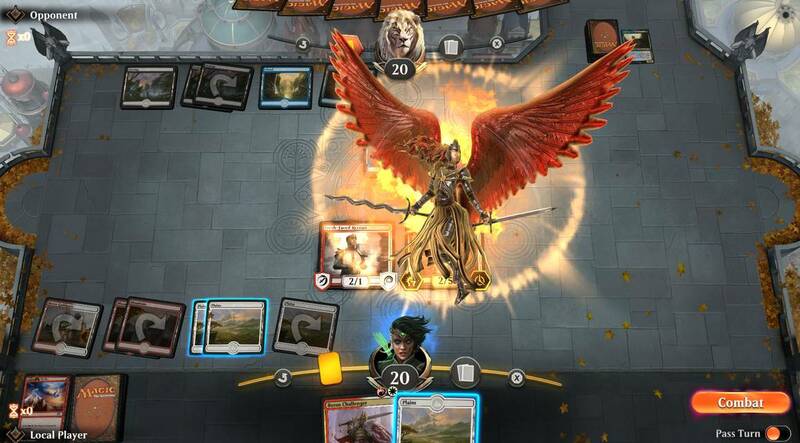 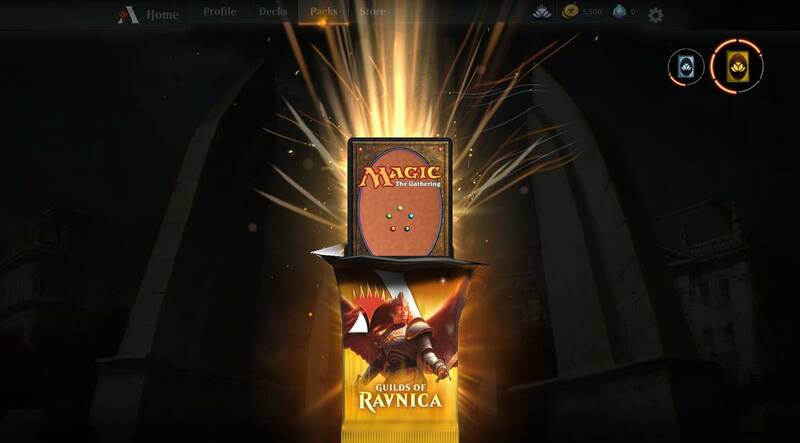 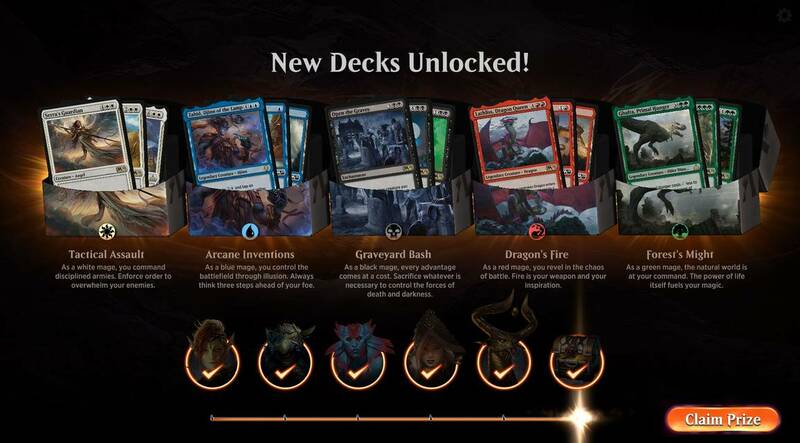 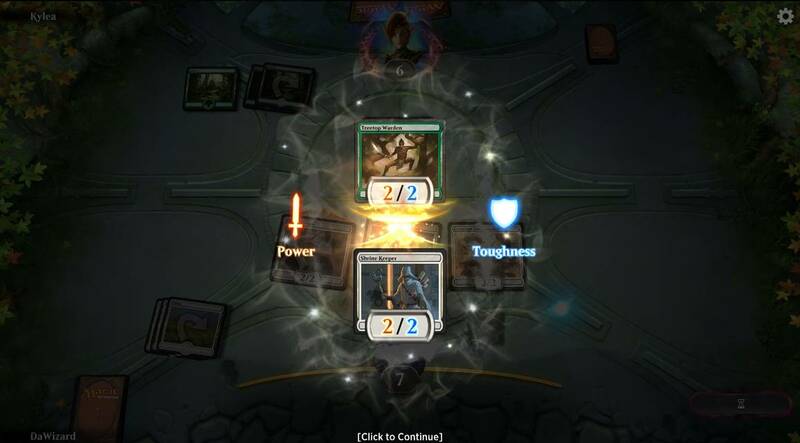 Whether they are browser games or games to download for free, online fantasy games are one of the most beloved (and played) categories of games of all time. 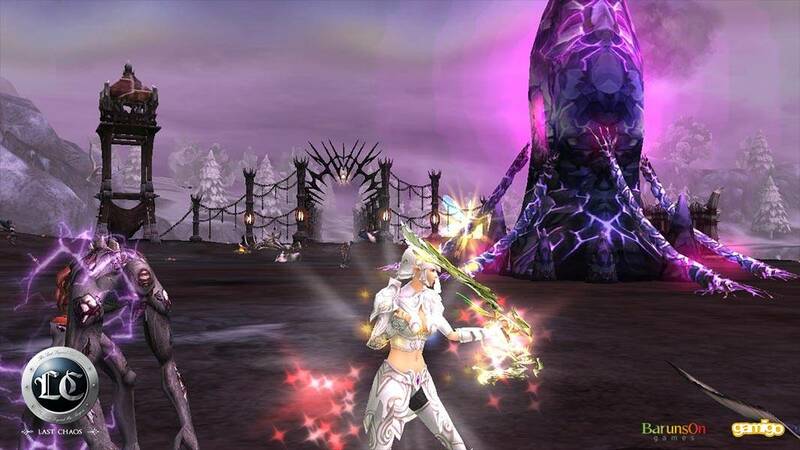 The charm of a fantasy setting has conquered millions of players throughout the world, and in 2018 we have lots of both fantasy MMORPGs and fantasy browser-games. 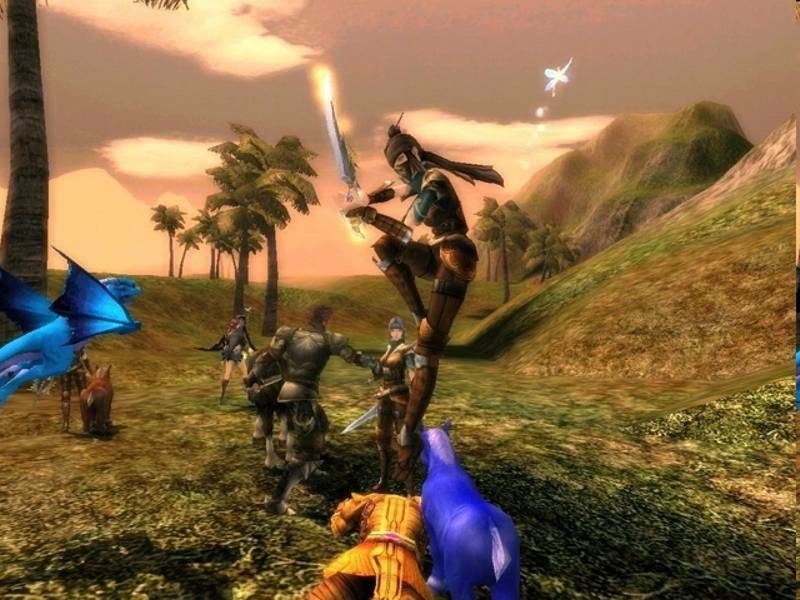 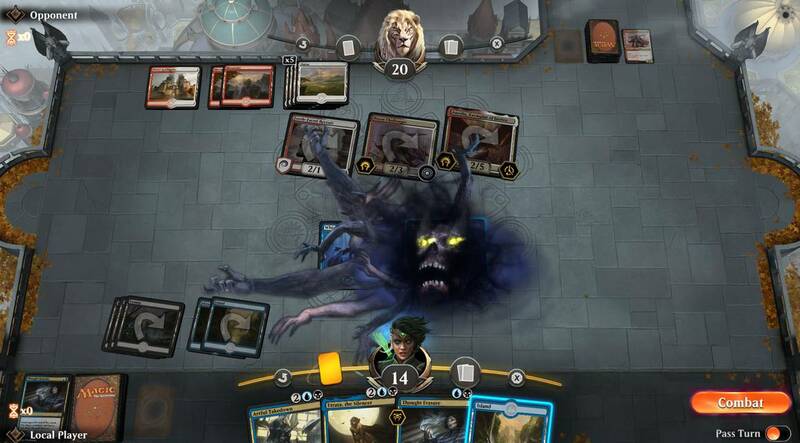 What follow are, in our opinion, the 5 best online free2play games with a fantasy setting, no matter what their genre is (RPG \ role playing games, mmo-tcg, browser game, action, shooter, etc...). 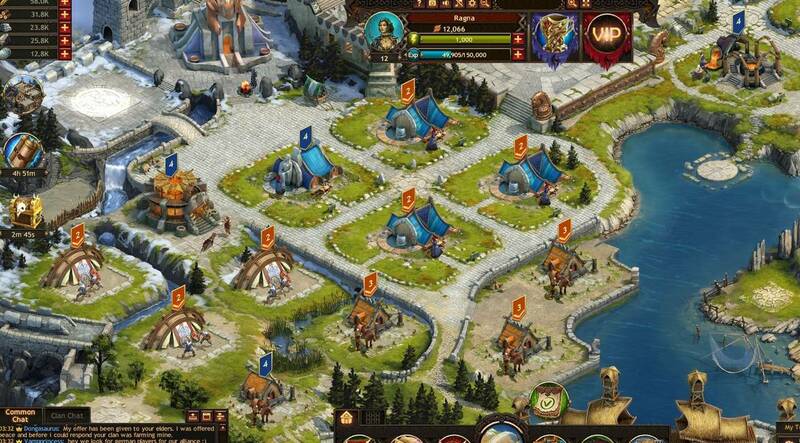 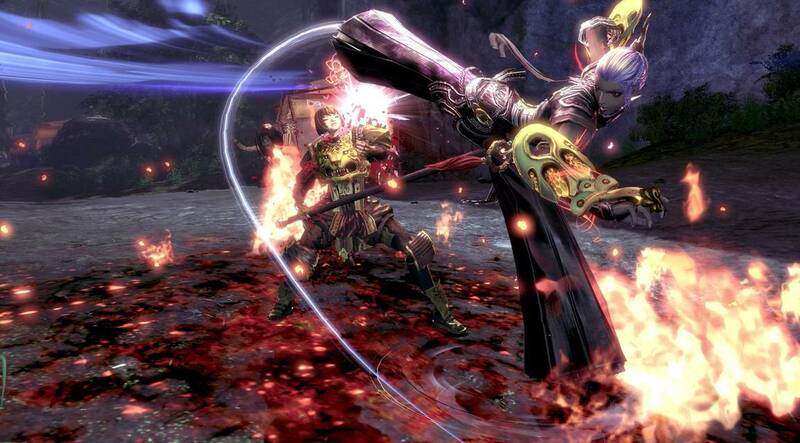 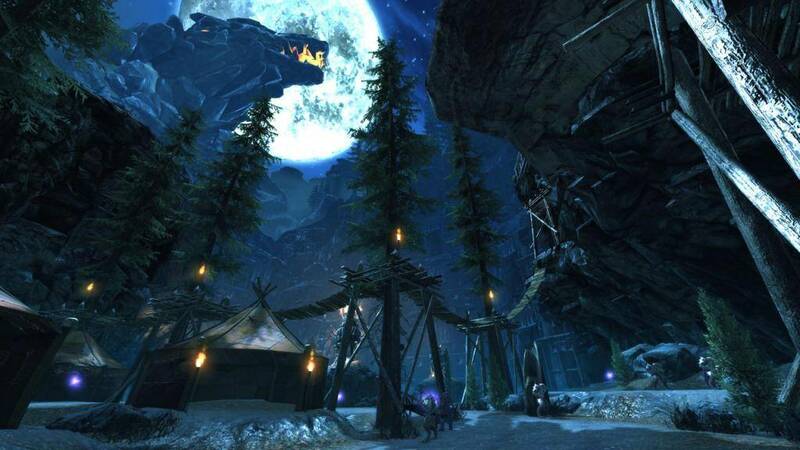 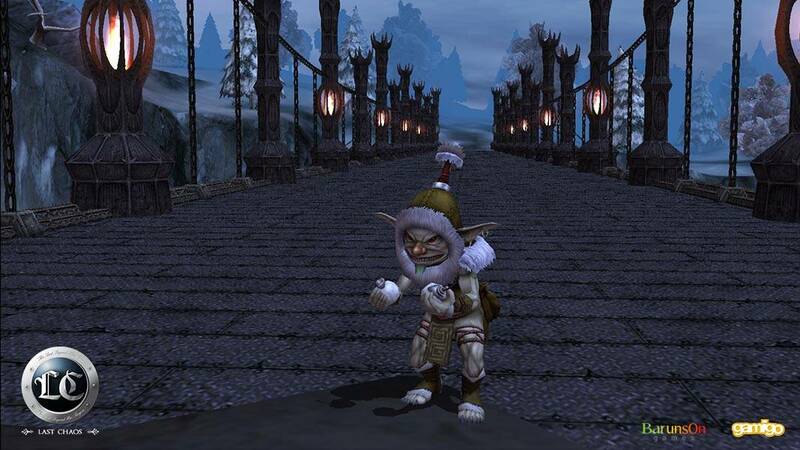 If you want to find out more, we have a page dedicated to the best free fantasy online games.